Tadpoles can look a lot like leeches. Tadpoles don’t have any sort of teeth but leeches have to little things in their mouth that are like scissors and that’s what cuts into you, and if you do see a tadpole they usually have little legs. In Mr. Russells classroom they are learning about constitution and human rights in history. In science they are going to be making a water filter system. 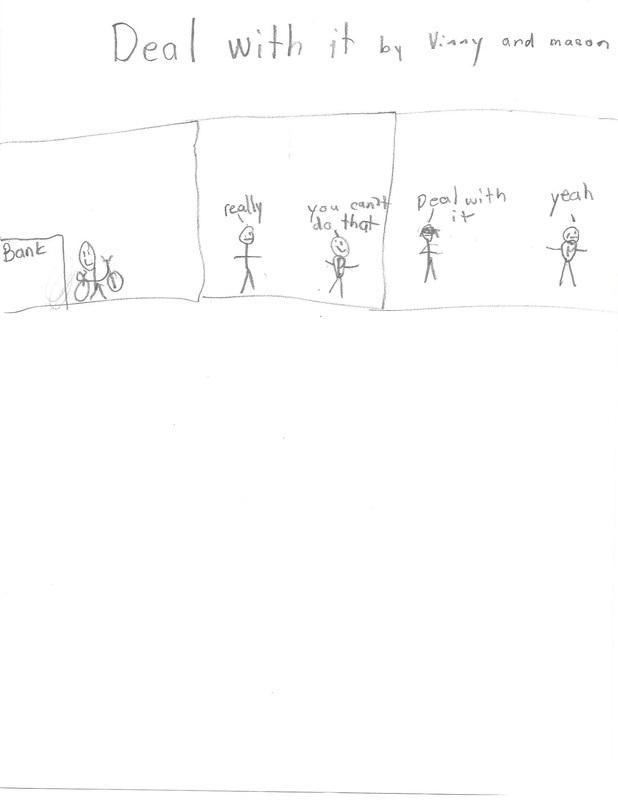 In reading they are reading about a man who had a metal rod go through his head. In math the seventh graders are learning proportions. In eighth grade they are learning slope. 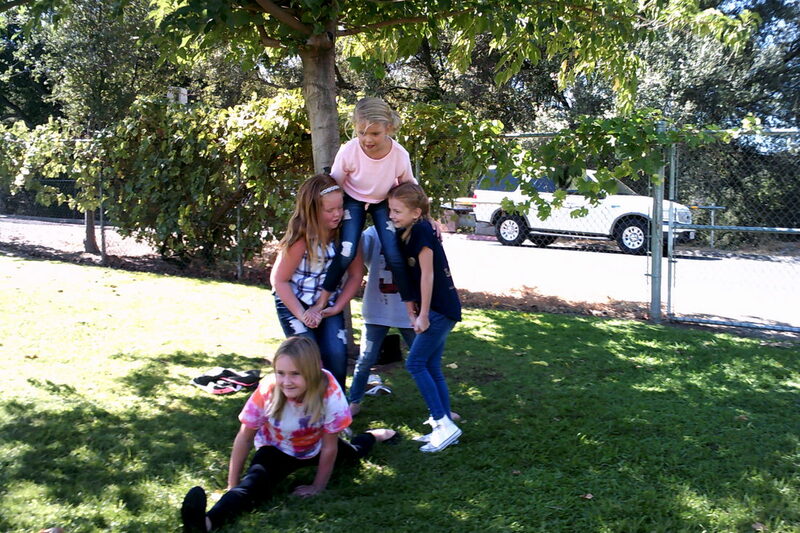 The class will be going to the Knights Ferry water tower checking the water quality. They will also be going to the River's Edge to learn about the jobs, they will also be cooking there. 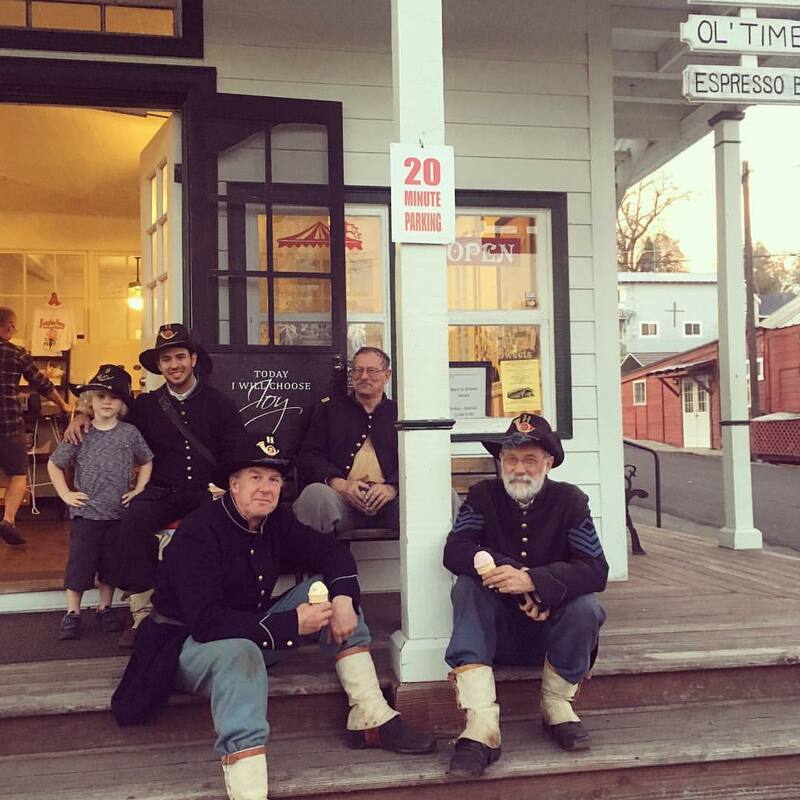 They will be hosting a civil war reenactment fundraiser. There is two basketball games one march 9th and one is on the 23rd. This week is the reading across America marathon which is a reading program to celebrate Dr.suess’s birthday. On the tenth there as a silent auction. There is also a Easter egg hunt on the 29th of march. Anita’s baby’s name is Jacob. 5th-8th did really good in our last game even though they lost they still did an amazing job against valley home. 5th grade girls also did really good but they need to practice on boxing out and not pressing. In their first basketball game all the girls won against roberts ferry. Knights ferry had so much fun. Their teachers and parents were really proud of everyone who played basketball. We hope that in our next game we will win but always remember to always stay kind like we say in knights ferry, in this school we may all be different fish but we always swim together. ​Mrs. Stevenot class had two subs and a visitor. Mrs. Stevenot says she loves them with all of her heart. 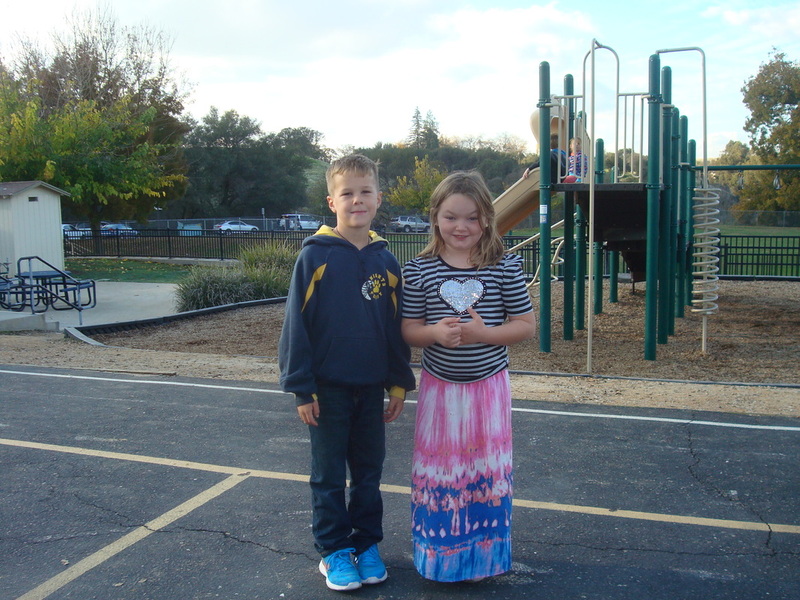 She says that they have big harts and show kindness every day. She also likes their silly side if it is not too crazy she’s fine. She enjoys Being here because they are kind and friendly. She loves Being surrounded by the kids and staff. 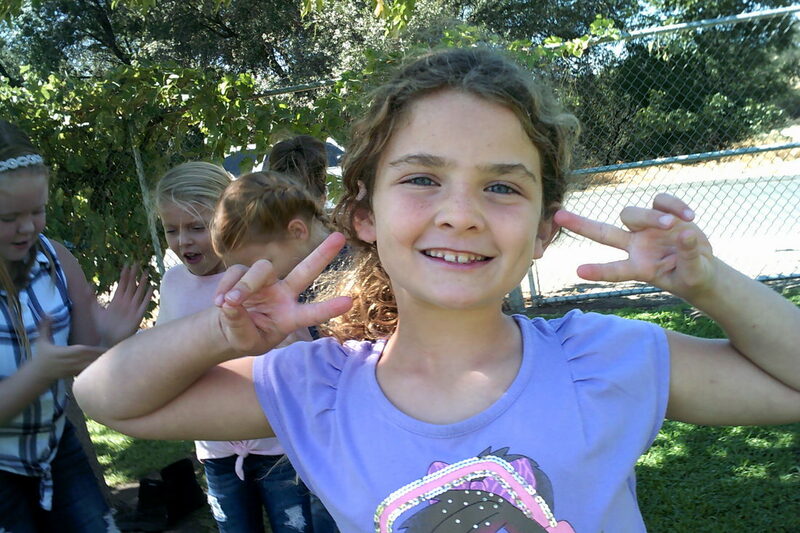 Rita likes every person in the class because they are kind, funny, some times and lulu. There are two new fourth graders and one more came a week ago. There is 24 students in all and 26 including teachers. There will be more soon. Because it’s read across america week the whole school is reading to celebrate Dr. seuss birthday. So the 1st graders ate special snack that they were goldfish. They ate goldfish because of the book : 1 fish ,fish small fish ,big fish.They are reading books.In the cat in a hat book the cat balanced a ball ,cup ,and book. So they formed teams and had to balance a doll ,cup ,book and that was there challenge. And I got a little sneak peek at what are they going to eat next to represent a book. They are going to read the book named : Book worm. The are going to eat gummy worms. So that is the scoop in the 1st graders classroom with. In Kindergarten Mrs.McCarthy’s class is learning about subtraction.They are subtracting with in 10. For example 10-1=9. They are currently getting ready to build a leprechaun trap and attempt to steal their gold. There essential question in ELA is how do people get from here to there. They have a ton of animals in there class such as a tadpole, butterflies, caterpillars, a snake, 2 turtles, and 3 hermit crabs. 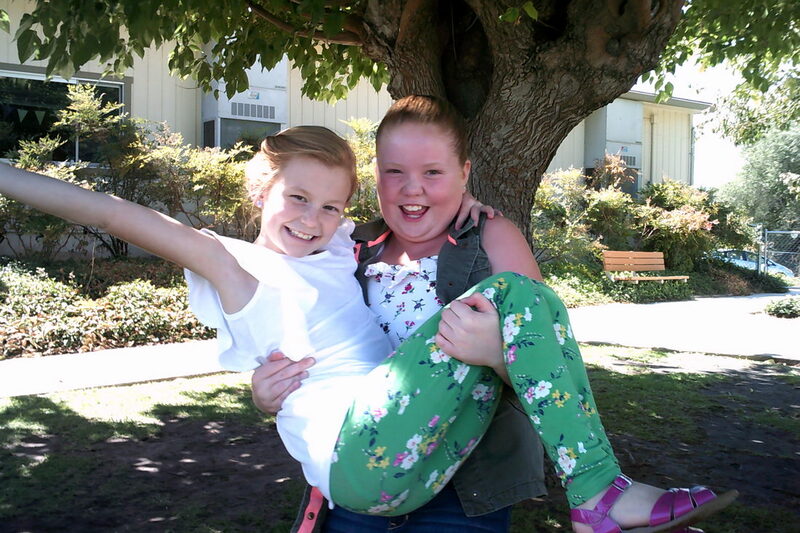 They recently visited Mr. McCarthy’s orange tree and picked oranges. For Chinese New year we put on a huge parade for the school. They were dressed like a dragoon and beat loudly on musical instruments. They are learning the basic rules of soccer in P.E. and playing soccer games against each other and sometimes Mrs. Stevenot’s class. Recently the 7th graders have been working on finding the area and circumference of circles. In Social Studies, both 7the and 8th grade have been learning about the American revolution. Personally my favorite is E.L.A or reading, because in E.L.A we get to act things out. Next month Mr. Russell reports that we will be going to the river’s edge for work experience and cooking. He also said that we might be going on our water treatment project. As well as this friday we will be going to our first basketball game. This month, February, the seventh and eighth grade class will be having our basketball game on Friday. As well as a Valentines day dance, Love is in the air guys! The seventh graders are nearly to our math test. Nervousness strikes again. River McCarthy(me) and Tate Casseretto keep on getting hiccups, wonder if we’re nervous. They will be doing a new broadcast for social studies and an earthquake brochure. Ms Cusano’s class has been practicing basketball, dribbling, chest pass, and shooting these past weeks. They're are also setting goals, trying new things and getting better and better at hard things.The first graders are trying to reach their goals right in these days.Some stuff that the first graders did in the past are yoga,dancing,running,soccer and now they trying basketball.In the future there going to do throwing and catching after that there doing kick ball. If you get bit by a Corn snake will you have a deep wound? No, because the Corn snake teeth aren't like fangs they are like sandpaper. Corn snakes and every other snakes are slimy! Actually corn snakes are not, because if they were slimy when they are in the sand hunting the sand could really hurt it or possibly kill it, because it could tear the scales! One thing after handling any snake make sure you wash your hands because they have something called salmonella and if it gets in your stomach you can feel sick like the flu. Hi, it’s Tristan McCarthy reporting on social studies in the third and fourth grade. 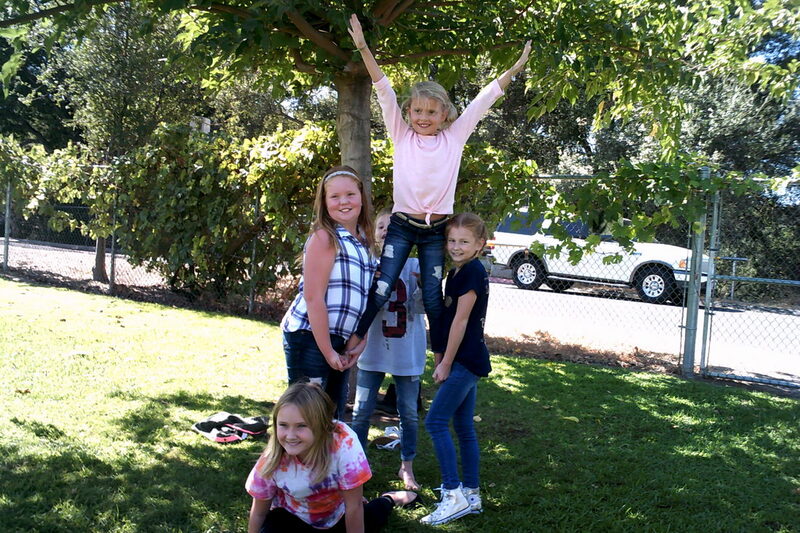 The 3rd and 4th grade went to California Indian Grinding Rock and learned about Native American history. In Science the 3rd and 4th grade will make an exploding paper-mâché volcano, it will be a blast! In social studies they are going to learn about the gold rush. They will be creating a simulation of Gold Rush times. In writing we will be writing an informational text; I think it will be really existing. Don’t waste your life, signing off Tristan. In Mrs Fogarty’s class they are learning about erosion. They are also learning about weather and multiplication. They have no upcoming field trips. Mrs Fogarty’s got two new addition to her class. 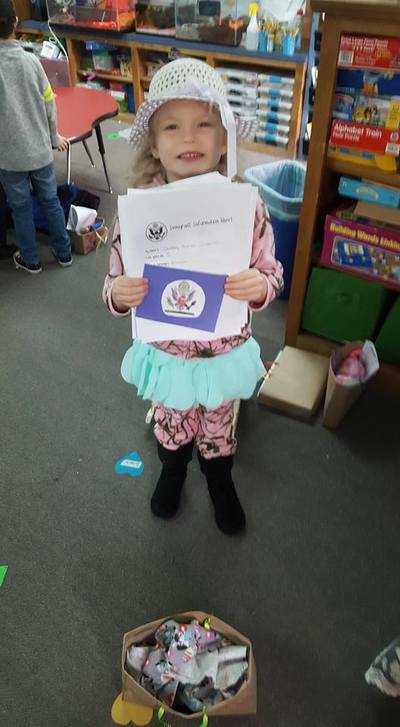 Her class is going to make art for the 100 day of school. One of her student’s dad built an erosion table. 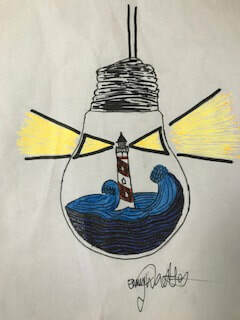 This amazing drawing has a real light bulb moment!! The last game was a soccer game which was 0 to 0 our team lost in a boundary a boundary in soccer when they have five people try to make the most goals.The next game is a basketball game on Friday vs. Robert Ferry. 5th through 8th will travel to Robert Ferry. Nadia’s favorite sport is volleyball. Kyla’s favorite sport is volleyball to.Jess’s favorite sport is soccer. 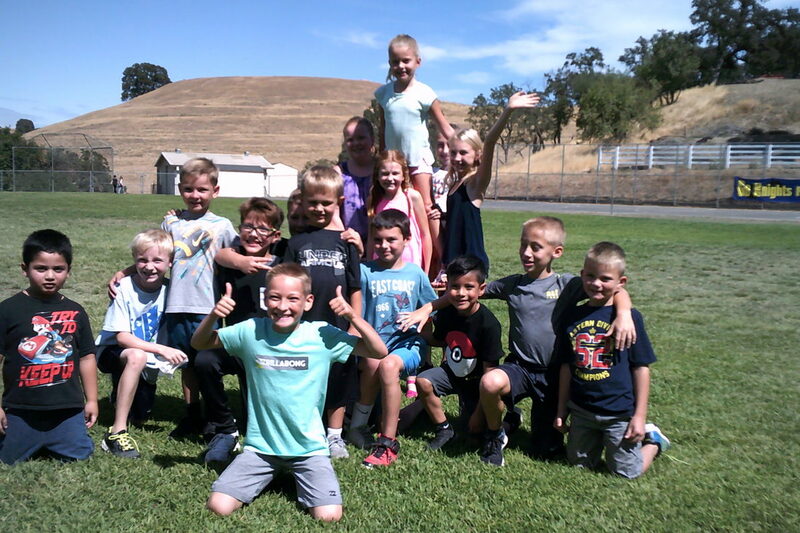 Mrs McCarthy’s class has been doing soccer for P.E. They’ve also been doing math for math they are subtract and counting coins. For reading they are putting words together and also been doing patterns. Mrs McCarthy is looking forward for the kinders to having parties and learning about animals in their field trips. Mrs. Bev Noe has 3 wonderful grandchildren: Makena, Abrie and Taylor. Some of Bev’s favorite things are: the color blue, dogs, Chinese food and a delicious juicy steak. One of Bev’s wishes is for snow to cover the mountains, so the 5th through 8th graders can go and enjoy their skiing trip. We are very grateful for Mrs. Bev Noe’ hard work and appreciate her very much. We also wish her good fortune in all of her endeavors. Math: In 5th Grade math we are learning about multiplication and division of fractions and decimals. In 6th Grade math we are learning about Expressions and Equations. E.L.A. : In 5th Grade ELA our question for the month is how do we decide what is important? In 6th Grade ELA our monthly question is how do people meet challenges and solve problems. 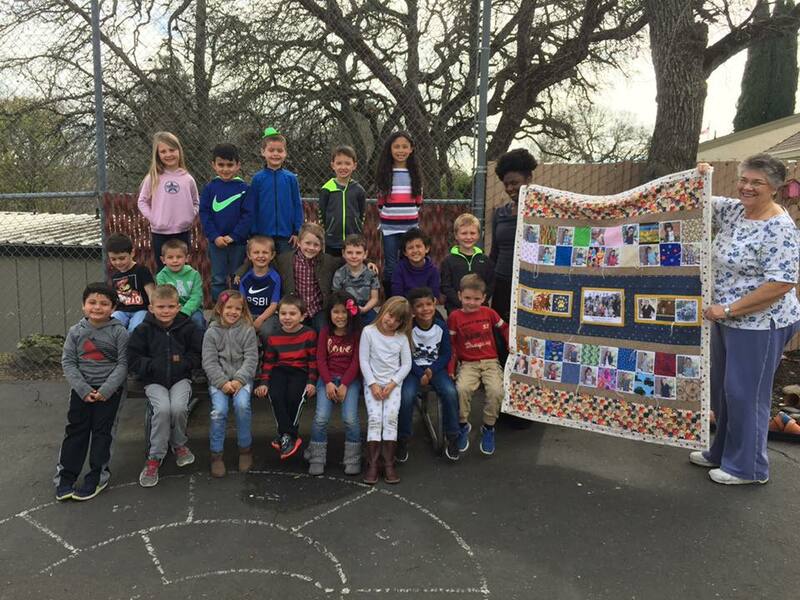 So many amazing experiences at Knights Ferry School!! 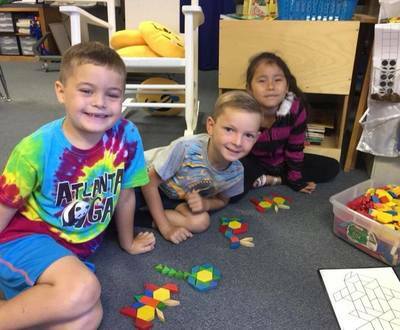 1st grade working with pattern blocks & 2nd playing the squeeze box!! Kindergarteners traveling to America, an immigration tale! 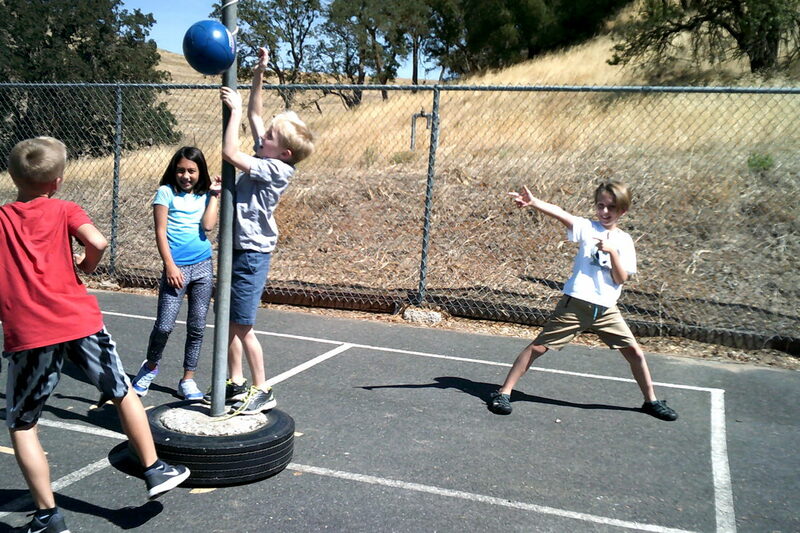 Knights Ferry School is tired of using cones as our soccer goals. With the cones we can’t have soccer games at our school. We want big soccer goals. We want the soccer goals that are at the High School. If we get big goals like the ones at the High School we can have games at our school instead of going to all the other schools. It will save us gas and we can raise more money for the school. We are really hoping that we can get the big goals because we all are tired of using cones. Now let’s all get together and let’s put in some effort so we can get the big goals for our whole school. PTC PURCHASED GOALS AND ONE IS SET UP AND READY TO GO! Thanks Grace Harden for having a voice and making a difference. This article is about Miss. Zellmer 5th and 6th grade class. Social studies, is going very good for Miss Zellmer and her students. Miss. Zellmer gives opportunities for all students to complete their work, so they don’t miss out on what’s happening in class. In math we are learning about decimals and how to times them by other numbers. We are reading about other 5th grade students in our Wonders text book. We are changing our schedule for writing to write first thing in the morning. Today we did clay with Miss Lizzy and made Christmas gifts for our family. We all were allowed to create what we wanted. Are the color of the corn snakes scales poisonous? Are the corn snakes scales very fragel? No, but you want to be careful because you can still peel it up or something else. What kind of teeth do corn snakes have? The corn snakes teeth are a lot like sandpaper. We in the 7th and 8th grade are going on a lot of field trips lately. 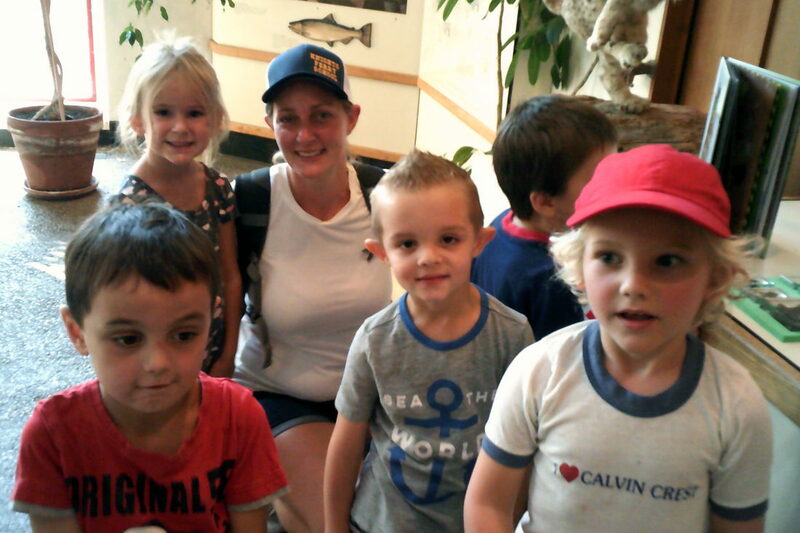 For example, the last field trip we went to was the Fish Hatchery. When we were there, we learned that some fish are eager to see humans thinking there are food for them. But others are very shy and swim away as soon as we come close. Thursday we will be going to the Knights Ferry Church to can pears. Other than that, we have been learning a lot in Mr. Russell’s class. Including, about the 13 colonies in Social Studies. Fogarty's class went to Columbia, they all had fun and panned for gold, they rode a stage coach, and most importantly they learned about life long ago. They created a Museum of family artifacts. They are leaning about the survival of the Chinook Salmon in science, and they are trying to find a way to stop erosion. They are learning how to do double digit addition on a number line. They are reading Fables in reading right now. ​Knights Ferry School ¾ grade made HOT CHOCLATE with buddie marshmallows and a face on the cup. Now they are making snowmen that if you flip it you will see a tree with a heart on it that says love. The third and fourth grade made bells that look like Christmas trees. Witch happened in November. Then they painted the Christmas trees that will go into a very hot oven. They painted the Christmas trees on two days before Thanksgiving. Last, they will be brought before Christmas break. 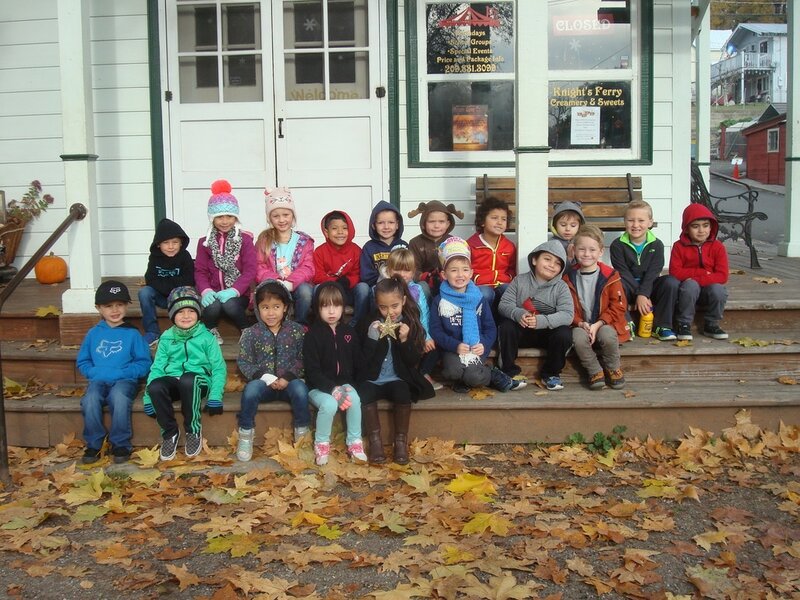 Mrs. McCarthy’s kindergarten classroom recently just visited the knights ferry museum, post office and after that, the class got to get ice cream at the creamery. 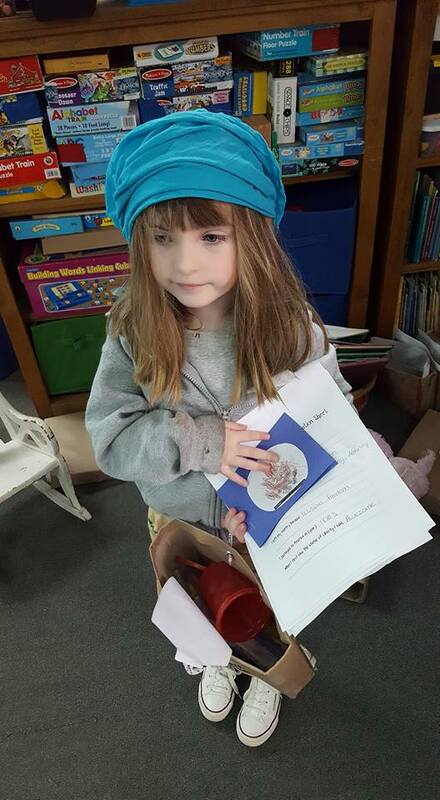 Lizzy came to do pottery with the kinder class and made Christmas gifts and dreidels. The dreidels are for their Christmas performance. They will be representing Israel. The kinders just learned how to add! They are learning about recycling, reducing and reusing. 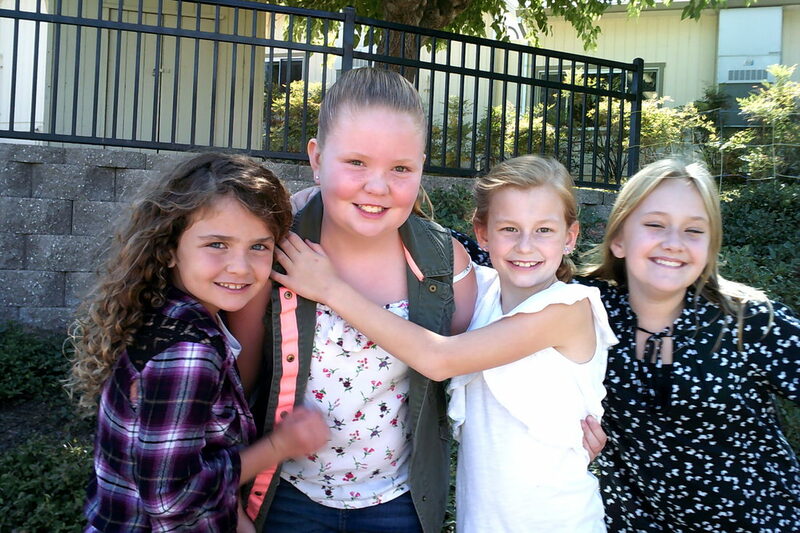 They will be going to see a play at the State Theater in Modesto all about recycling and raw materials. 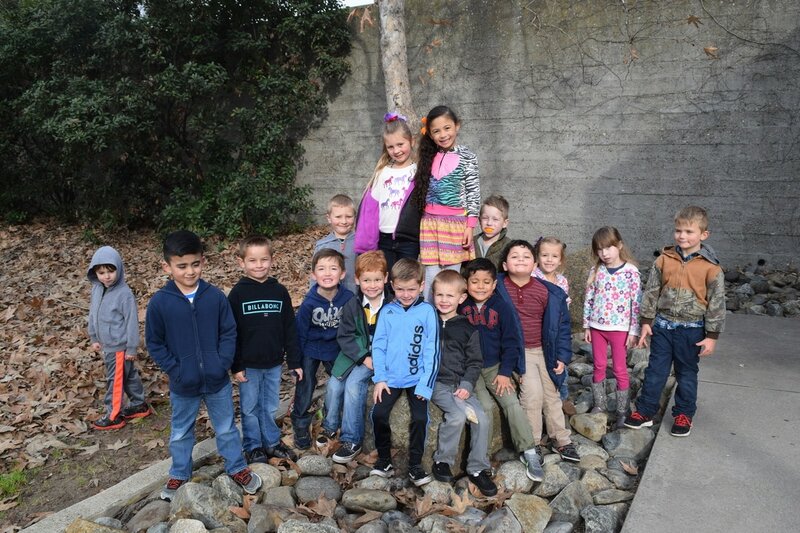 Mrs.Cusano’s class studied how to use the Stanislaus river and how people can affect salmon.They also learned how to use fish ladder the fishes use to get over the dam. At the salmon festival one of her students, scout won and got to put his work in the calendar. They are learning how to write informational writing and opinion writing. They are reading on the computer and using dream box and the wonder program. 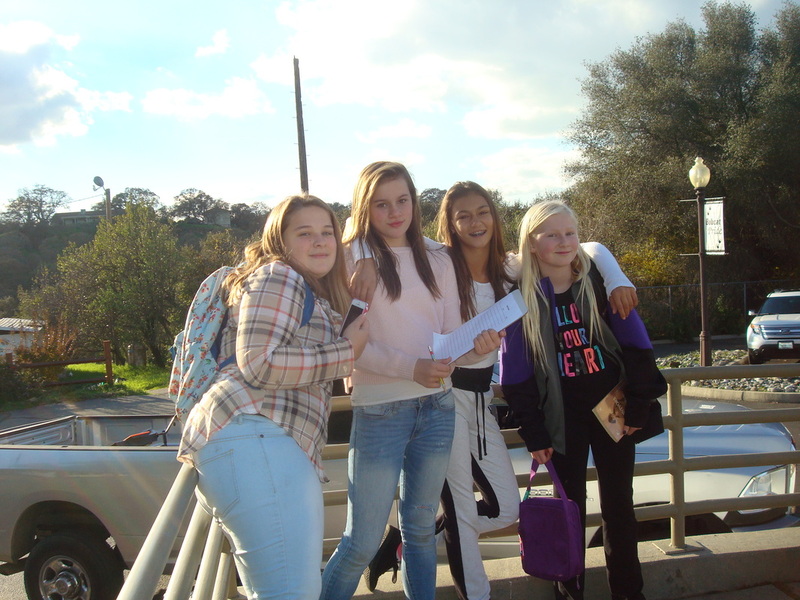 They went to the fish hatchery with the 7 and 8 graders and they learned how the raise fish. wE ARE bACK WITH A WHOLE NEW CREW!! Mrs. McCarthy the kindergarten classroom teacher has 26 students. Sometimes if the students are good they get a warm fuzzy to put in a jar. If they fill the jar they get a classroom party. If they are having a problem Mrs. McCarthy talks to them what she wants to see next time. For fun Mrs. McCarthy's class plays camouflage which is basically hide and seek. Mrs. McCarthy's class just visited the firehouse, and fireman Zack showed them around and did a fire safety talk. They also picked apples at Larry Bell's house. I'll look forward to sharing what's happening in Kindergarten next month, Rita Taylor! Mrs.Cusano’s goal for the first graders is read faster and better than before. Be very good problem solvers and being fast at adding and subtracting. All of her class is feeling the durn! Every single day they are now working on their computers when they are on center’s Mrs.Cusano says they only work with the wonder’s app. They are now doing spelling.There are doing reading essa to know in which level they are on reading to also know what they need help with reading. Mrs.Cusano says that the class likes there new white boards. 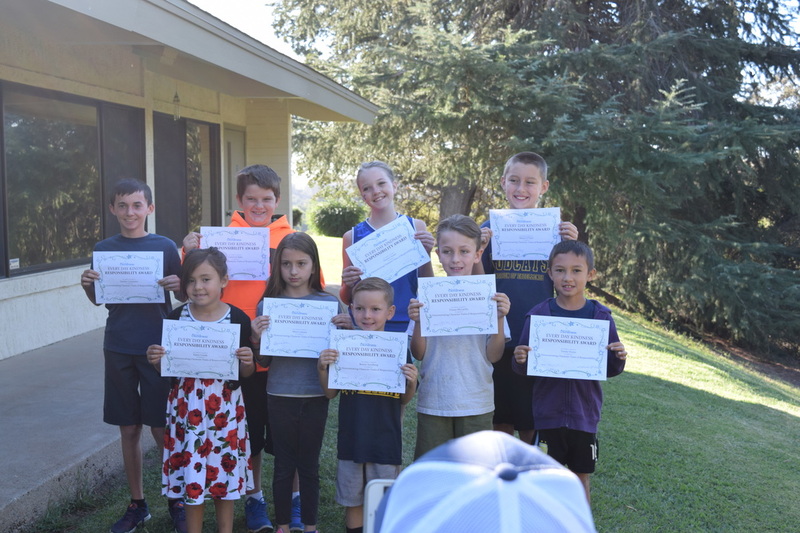 Ms.cusano is very proud of them because they would come to the class and not like to do witting at all and now they do it without whining to her at all. Mrs.Fogarty's class has six new students! 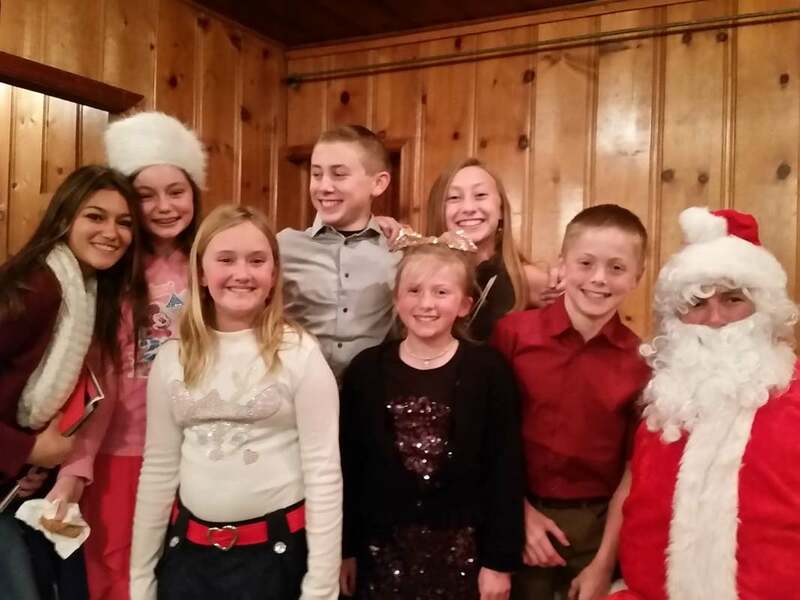 Their names are Gian, Dylan, Makena, Macey, Jake, and Kaiden. Mrs.Fogarty's class is studying the rain-forest. They are making a book about why the rain-forest is important. They are making a class business, in their business they are going to learn how to dye alpaca wool and weave it into bookmarks. Sounds like it's going to be an exciting year for 2nd grade. 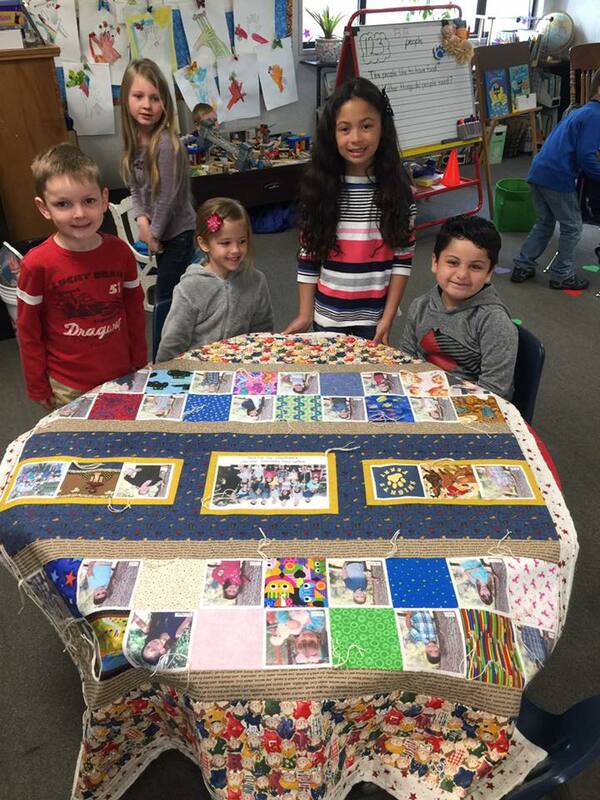 Mrs.Fogarty's Class has been saving money for an animal for a family in Africa so they can start a business to raise money, Mrs.Fogarty’s class has saved $40.00 so far. They are also going to Columbia to lean the history, on October 6th. In math they are working hard on place value. In 5th and 6th grade math, we’re are learning about fractions, and decimals. In history we’re learning about cro-magnons, and magnons. We have a new teacher Ms. Zellmer. She is a very nice teacher and makes us want to work hard for her! 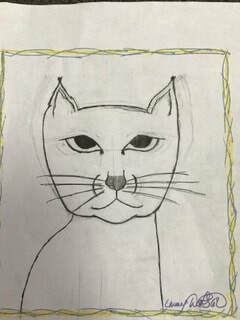 ​ So far in Mr.Russell’s 7th and 8th grade class, we have been learning about cells, in science. In math we have been doing positive and negative integers. Usually, this would be really boring for me, but Mr. Russell makes it okay. In history we are doing a Native American project. Where we make a video with pictures about our group of Native Americans in our groups. 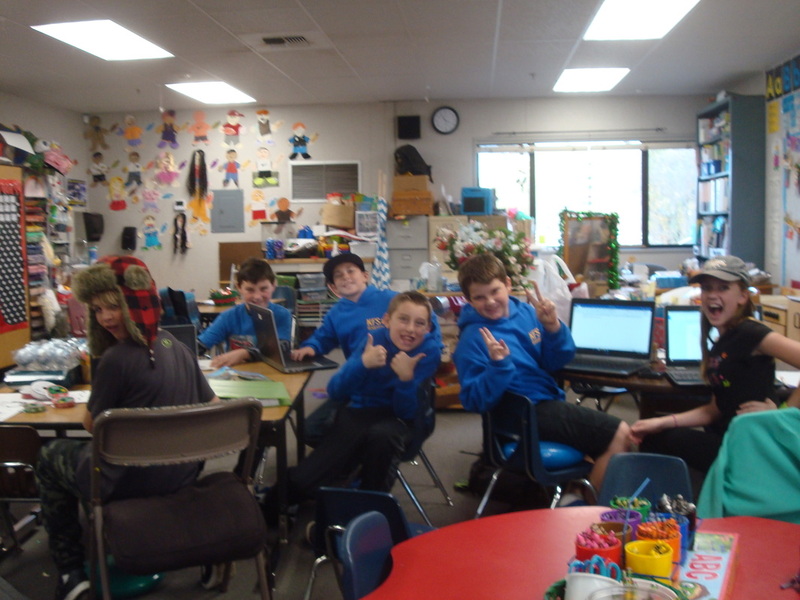 We recently got chrome books where we have been doing a writing program called Amplify. 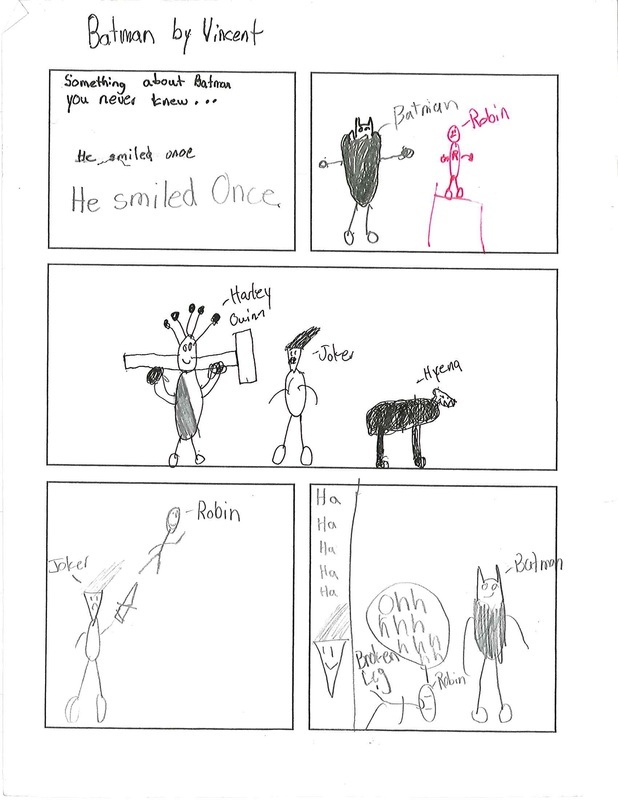 On Amplify we will be learning writing narratives. So far I am almost positive everyone loves having Mr. Russell as our teacher. The 7th grade has gotten 4 new students. We have been learning about cellular respiration and we made a city where each place represents parts of cells. We also have been learning about Christopher Columbus. Some people are trying to prove Christopher Columbus may not have been the first person to find America? I didn’t until our amazing teacher, Mr. Russel taught us. Most of us are also selling concert tickets to raise money for our Washington D.C. trip. The concert is on September 30, so make sure to find one of us and buy your tickets fast! In math we are learning how to turn fractions into decimals. So far my year in Mr. Russel’s class has been great. Everyday kindness is starting today. There is a football and volleyball game on Friday. Fundraiser for the Washington DC Concert featuring Willie Tea, RandyMany Band, The Bonemen, and Chris Farris it’s this Saturday 12-4p.m. and includes a taco lunch. There will be a cakewalk, bake sale, auction with lots of cool stuff, and a 50/50 raffle. Bring your cash and checkbook to support 7th and 8th grade students go to Washington DC. Mrs.McCarthy has a corn snake it sheds once a month. It eats a mouse once a day called a pinky. The snakes name is rosie. 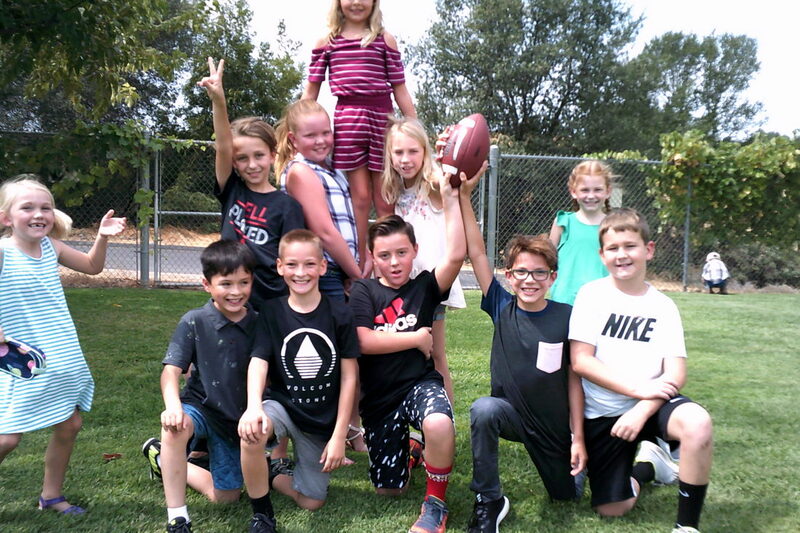 Sept 29th is a football and a volleyball game at Knights Ferry School. 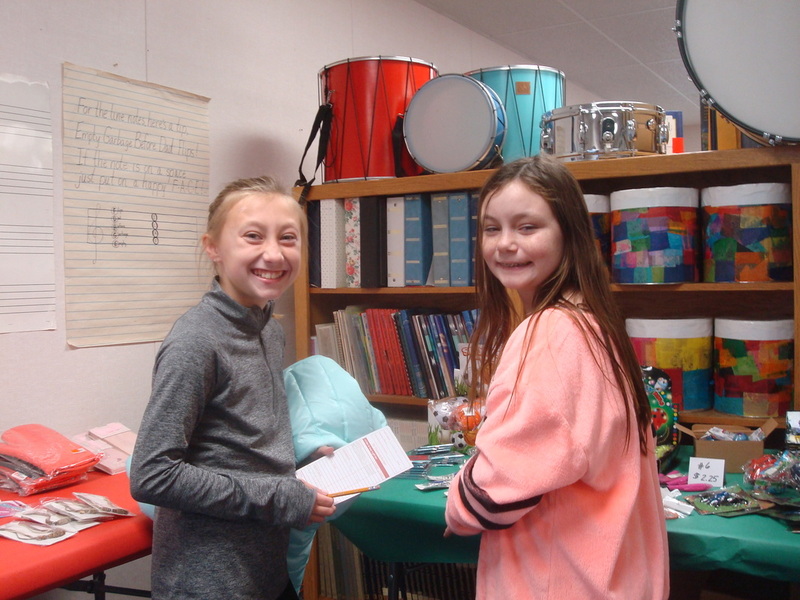 Shilo will be here at 11:00 a.m.
Mrs. Bethany from The General Store and Saloon is starting a book fundraiser; with the money they raise they will be starting art and music classes. They are also selling flowers for Fall. Mrs. Heather Voortman says that they are ready for Fall and they have their Pumpkin ice cream and Death By Chocolate ice cream in the Creamery. 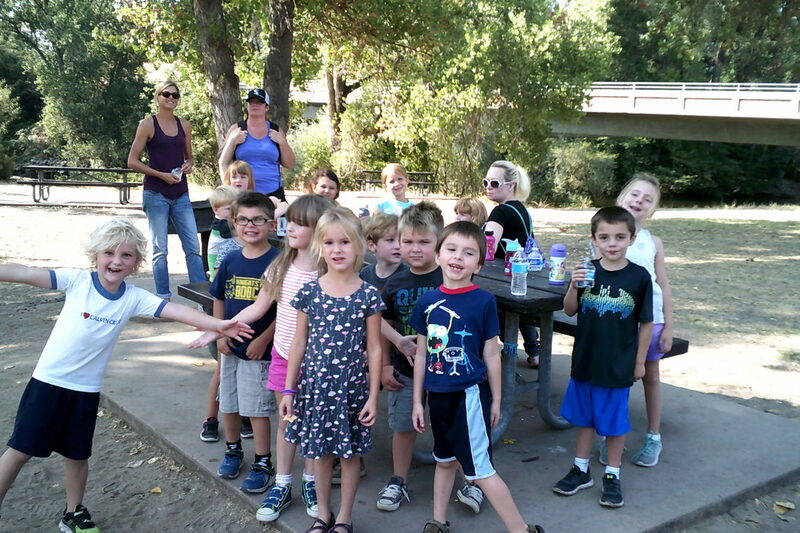 To get ready for The Pumpkin Roll and the Salmon Festival which they are also exited for, the Community Club along with the Historical Associations, The Odd Fellows, and the Church are planning a Love Knights Ferry Clean Up Day on October 28 at 8:00am-12:00pm. They say that they could use some help cleaning Knights Ferry up, so feel welcome to join! From the words of Dr. J we have an art auction coming up. It will be on May 18 with the talent show. We also have the track meet coming up. Silver Spur is coming up for student who have earned honor roll. The kids can only go if they have a GPA of a 2.9 or higher, a b in citizenship and cannot have 2 or more missing assignments. We will also have a school dance coming up on May 5, 2017, our last school dance of the year. 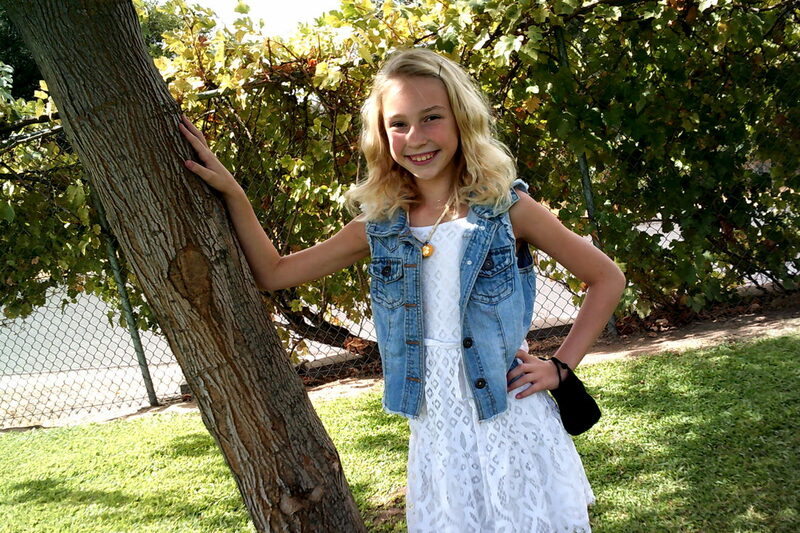 Today we are going to interview Ruby Sales, a sister of Cameron Sales, one of our editors and a reporter. She is excited for the Oakdale Rodeo Parade. So get your hats and boots on and get ready to have your socks knocked off. Some of our students might even be in it! The end of the year is coming soon and everyone is excited for the talent show. This is River McCarthy signing off for the day! ​This is the seventh and eighth grade article. Wyatt Roseberry: “The manor project was interesting, I used hot glue and pretzel sticks.” Recently the seventh and eight class participated in a project wherein they were to build a manor. The spelling bee is coming up and Paris Sales is participating, “I’m looking forward to visiting Gratton, and it is very cool that my little brother, Cameron Sales, is going to the Spelling Bee too ,and the free food will be nice.” Signing out Cameron, Paris and Sophia. ​Therefore, the end of the year is coming and we talked to some students to ask what their favorite things at school are and hopefully they will not be missing them to much as the school year ends. Bowen says he loves playing on the playground. Caleb says that he loves to play in the fairy garden. The school year is ending but we will be back next year and then Bowen and Caleb can play all they want. This is Dakota Voortman and Sophia Thompson signing off for the last time this year. So farewell, adieu, au revouir, adious or in other words, goodbye. 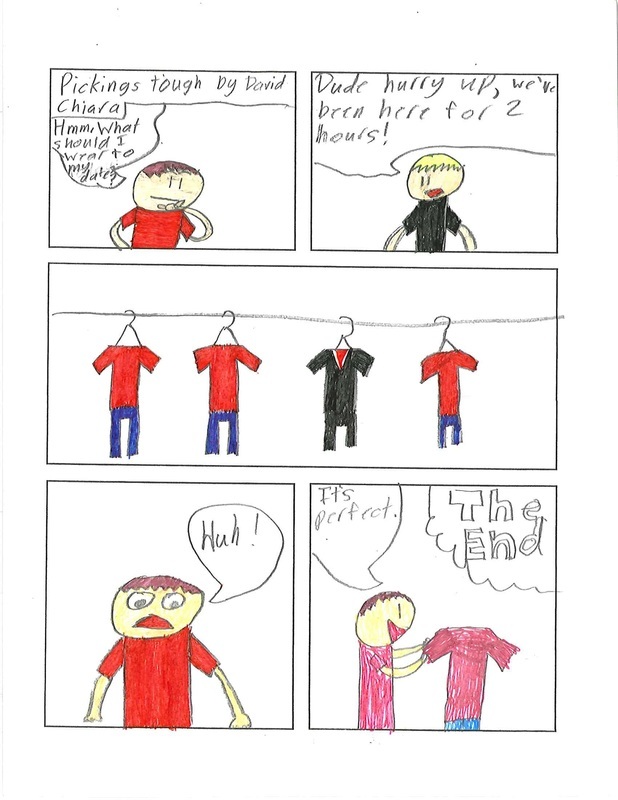 The fifth and sixth graders are reading a book called Al Capone does my Shirts. It is an okay book, but the vocab and stuff is boring. The class is going to Alcatraz in May. We are having our end of the school Year Dance on Friday the 5th and it is also Cinco De Mayo. If you didn't know what Cinco de Mayo, it is when the Spanish and the French were in war and the Spanish won. We are also going to have our Talent Show on May 18 and we are also doing the art auction with the talent show. Summer is coming and school is almost out. Mrs. Fogarty’s class is very excited. Everyone has different opinions on what they want to do. Jett says he likes pool parties, swimming and water balloon fights. So basically anything with water. This summer is going to get really hot so make sure you stay hydrated and cool off. First and second grade reporter signing off. It seems like only yesterday that the Newspaper Crew and the Paw Prints Press came to fruition. I wanted to create a space where students could learn about deadlines, write, be creative, and have a voice. What I didn't expect was to watch all of my crew grow into even more fabulous people then they were before. They make me laugh with their witty come backs and the way they always have something to contribute to every conversation. The part I will miss the most this summer is how kind and supportive they are to one another. You would think 5th-8th graders would be too cool, to compliment one another or lift each other up, but not this group. They're the perfect combination of willful, respectful, kind, and hysterical. I couldn't have dreamed of having a better more dedicated team. So here is to Dakota, Sophie, Seth, River, Jess, Grace, Vincent, Carter, Cameron, and Trent; you're all exceptional people and I can not wait to see what your future holds!!! We hope you will join us again next school year when Paw Prints returns. 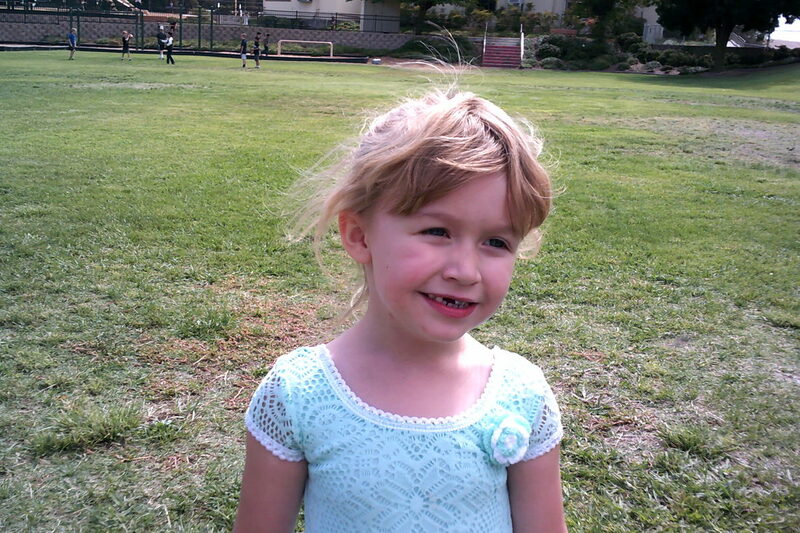 ​This is the Kindergarten reporter’s over the break we all did many fun things but now we are back in school. Over the break, Ms. McCarthy’s Finnish cousin came to visit. They went bowling and went to China town in San Francisco. Looks like they had a lot of fun. 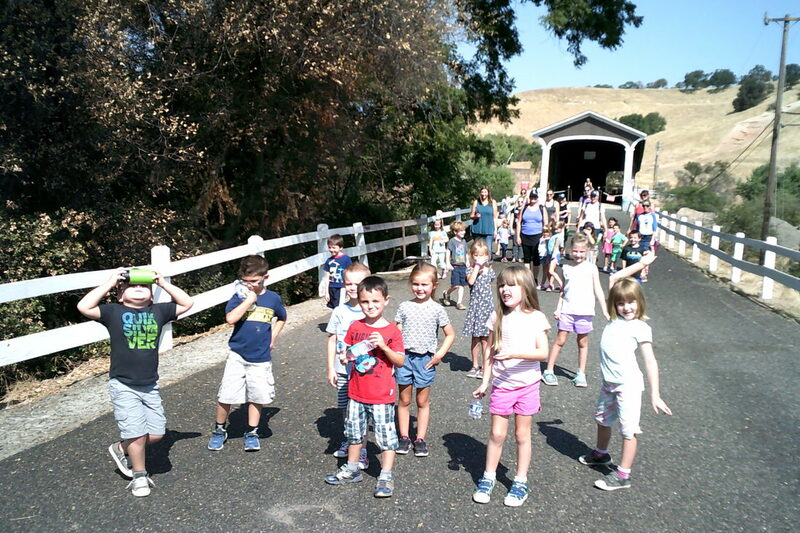 This week the Kindergarten class is going on a walking field trip to see the spring blooms. They will also be going on a walking field trip to release the salmon eggs. This is Dakota Voortman and Sophia Thompson signing off. ​Hi, I am Vincent Peterson I am writing a report on the fifth and sixth class. In our class, we are starting our state testing soon. Spring has taken over the fifth and sixth grade classroom with decorations. They are also starting the Modesto nuts reading program like every other classroom. That was a report on the 5th and 6th grade classroom. Trent- What Do you think of March? Dr. J- I think the weather is awesome and daylight savings time. Trent- interesting, What about the school dance? Dr. J- I think the school dance will be awesome, but we need more 5th- 6th songs on the playlist. Trent- good, what about the auction? Dr. J- yes the auction, Denim and Diamonds? The auction was amazing. I was very grateful everyone helped out with the auction. I am also grateful that the community club supports us. Dr. J- Yes, the renaissance Assembly, the renaissance Assembly will have surprises for everyone. ​This is the seventh and eighth grade article. Wyatt Roseberry: “The manor project was interesting, I used hot glue and pretzel sticks.” Recently the seventh and eight class participated in a project wherein they were to build a manor. 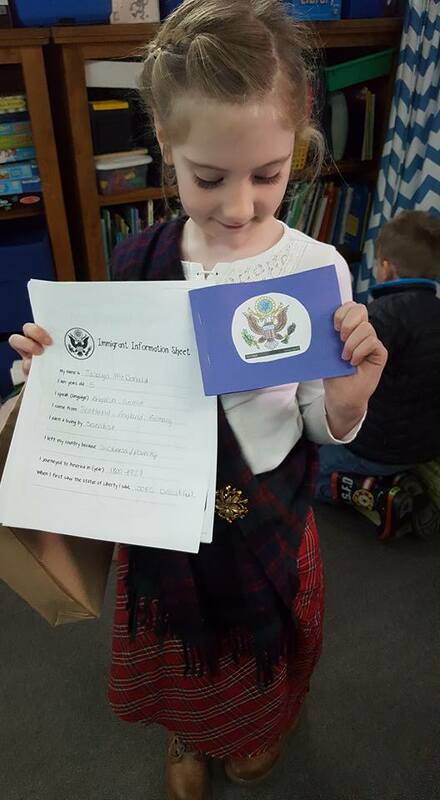 The spelling bee is coming up and Paris Sales is participating, “I’m looking forward to visiting Gratton, and the free food will be nice.” Signing out Cameron, Paris and Sophia. 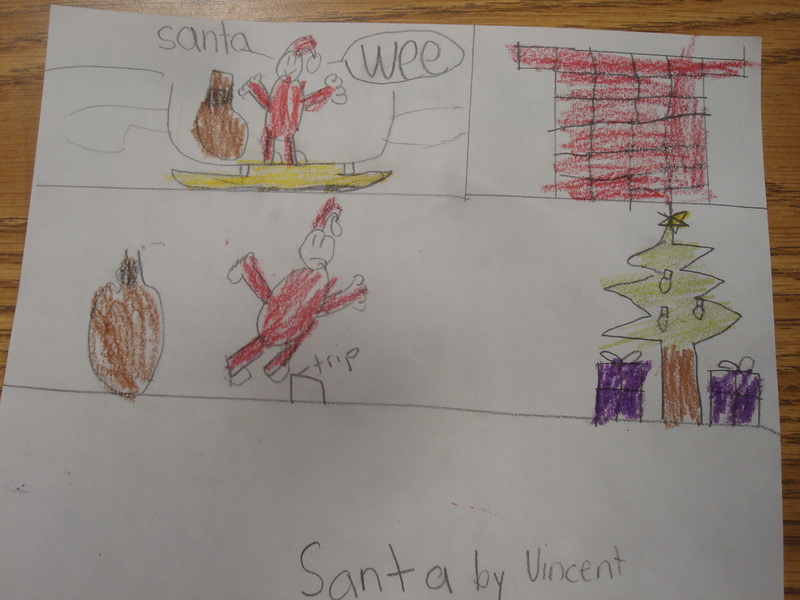 ​Hi, I am Vincent Peterson reporting for Mrs. Fogarty the teacher of the 1st and 2nd grade classroom. The other day they went and released the salmon with their 7th and 8th grade buddies. Lauren Porter is bringing two rabbits to share with the kids. They will be celebrating St Patrick’s Day. The students will be celebrating Mrs. Amber on her 18th birthday. They are getting ready to plant in the garden. "Jett hopes they grow sunflowers". ​I am Vincent Peterson reporting on the community club. This isn’t a joke the car show is on April 1st. coming in April is the peddler’s fair. Hello to you, wonderful reader, it’s me, Trent Esteves reporting from the 5th and 6th grade classroom! 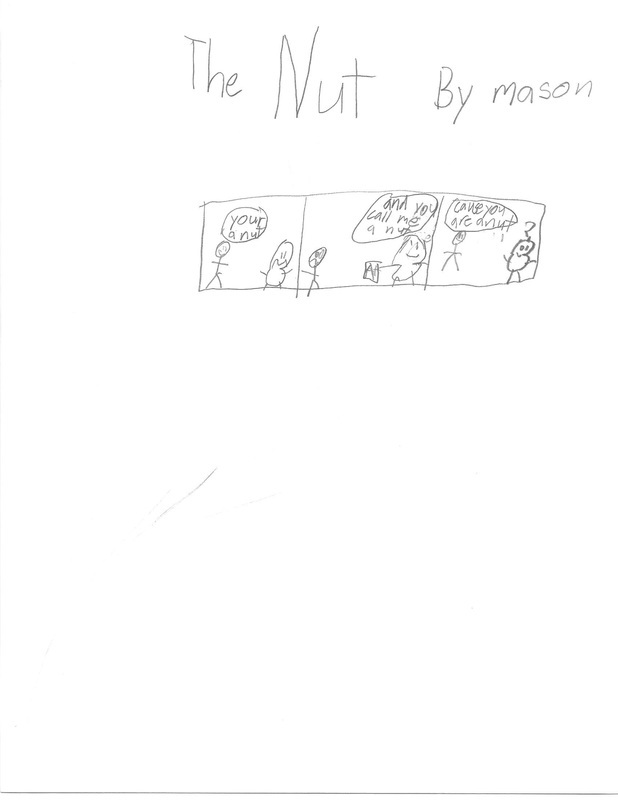 First, I have some very sad news: Mason O’neil has moved to a new school. We all hope that he makes new friends and comes by to visit often! Good Luck Mason we will miss you! 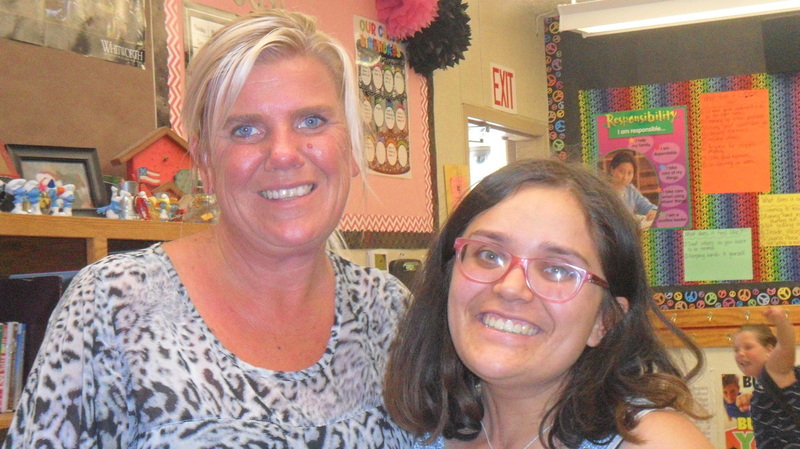 This month I interviewed the 5th and 6th teacher, Mrs Kelly. What was your favorite part of winter break? Having family over like,such as her daughter Madison. Why did you like having family over? Because you can stay indoors and you don’t have to go places. What are you teaching now in school? Mostly Reading, Writing, and Math. What do you think will happen next winter break? Two kids will come home from college. Mrs. McCarthy got some new animals. Today I'm going to talk about their salamander. They got the salamander before Christmas break. Wyatt Birdsong caught the salamander and a tree frog at his house, and he gave it to Mrs.McCarthy. The salamander is black with yellow dots. It is called a Spotted Salamander. The Spotted Salamander breeds in ponds. The salamander sends out a smell that tells its predators not to eat him. Females lay 200 eggs, and there is a jelly like coating around the eggs. Today we will be talking to a 5th grader named Trent Esteves. He’ll be telling us about his past year being a 4th grader. But first we’ll talk to Bryce Anderson a 3rd grader this year. He’s been learning multiplication, subtraction, and addition. Which he says he’s already learned. Now to Trent, who had Mrs. Holcomb. Mrs. Holcomb has taught kindergarten, 3rd and 4th grade. Trent says he did many exciting things in 4th grade, but one thing that he remembers the most, would be a field trip to the Jamestown railways. The 7th and 8th grader have been doing a lot of activity lately. They have been doing an exciting project, raising salmon babies on January 12. The 7th and 8th graders are also having their first soccer game. Mr. Russell is going to be training for robotics on January 4th, so the 7th and 8th graders could use the robotics kits. Their class is also hoping to save Bob their fish by heating the water, currently he is in a resting state. Finally, their class is going up to dodge ridge for skiing and snowboarding. Hi, I am Vincent Peterson, I have talked to Chris Peterson, the president of the Community Club about the events that are coming up. Chris said, ‘the next event that is coming is the car show’! The car show is on the first Saturday of April 4th Annual. 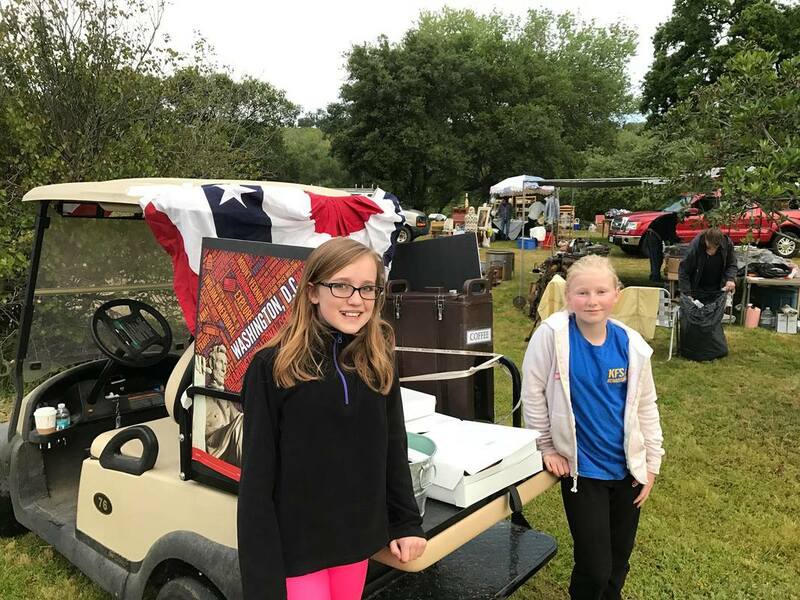 ‘We started the car show to have money to fix our club house, and to other community needs.’ He said ‘The Meetings are the first Tuesday of every month. They start at 6:30, it is a dinner potluck. The clubhouse is located Knights Ferry’. We are almost at the end of the year and we are over half way done. For the one hundredth day of the year, the Kindergarten children will be doing so many different things. They will bring in one hundred items of their choice. They will also dress up as a one hundred year old person. They will be making an artistic portrait of themselves as one hundred years old. They will be flipping a coin one hundred times to see if they will land more times on heads or tails. On Friday is Chinese New Year, so they will be parading around the school with a Chinese dragon. Won’t that be fun! 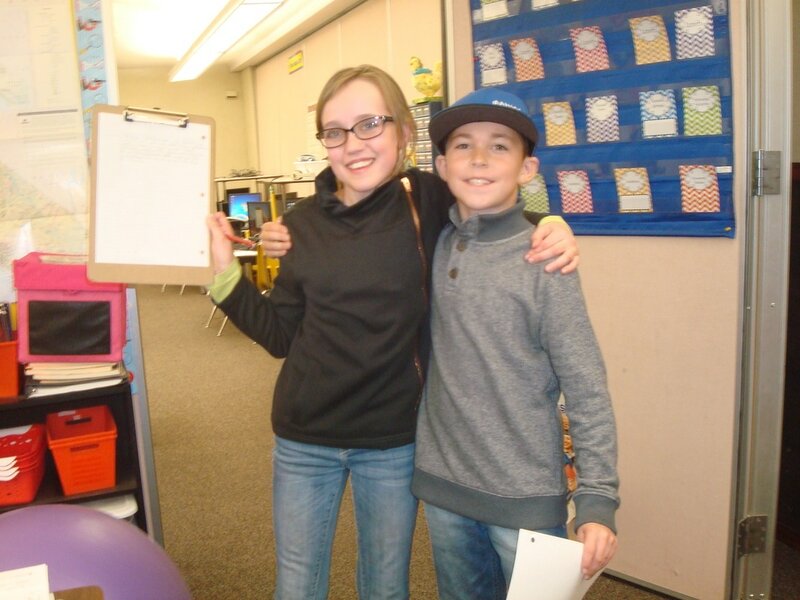 This is Dakota Voortman and Sophia Thompson signing off as kid reporters. This is your editor for the Knights Ferry's Paw Prints Press, Cameron Sales. Hi how are you doing? 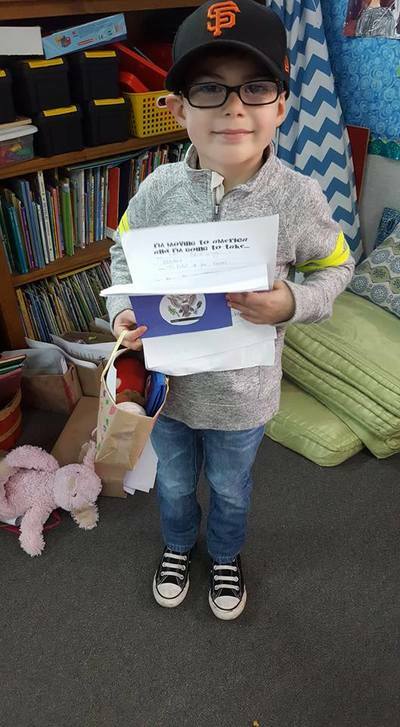 Christmas time is coming soon and Jasper a kindergartener is excited he said, “that he is looking forward to opening presents and being with his family this christmas.” That is enough about Christmas let’s talk about Thanksgiving. Thanksgiving has just passed but the memory lives on forever. Colin one of the kindergarteners said, “that he is thankful for his family.” After a long hard thought Jocelyn said she was, “thankful for her friends at school.” As you all know the trimester has just ended, 60 days of school gone. Where did the time go? Mrs.McCarthy said her favorite thing this trimester was when they worked with pumpkins.They got to see if they would float and how many seeds were in them. This is Dakota Voortman and Sophia Thompson signing off as kindergarten reporters. Hey Pawprints Press’ readers! Everyone is very excited about getting out of School for Thanksgiving. The teachers are looking relieved by the end of the day. They are quite hard working. For the anual Christmas program the 3rd and 4th graders are playing a song on the recorders. They have been learning time tables, they’ve also been learning about the Native Americans. 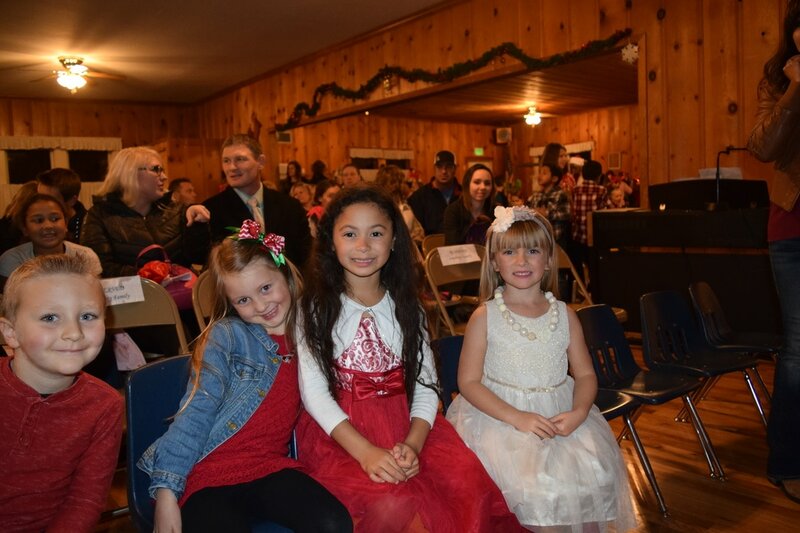 The anual Knights Ferry School Christmas Program is coming up on December 15. 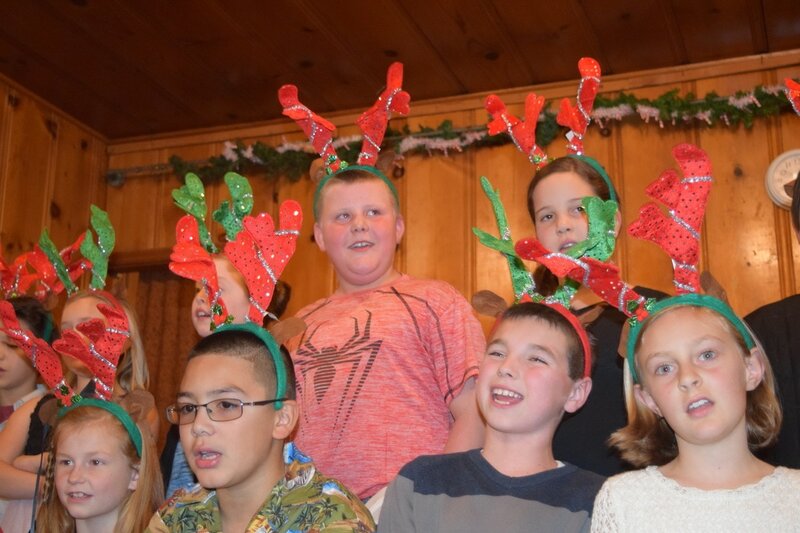 The 3rd and 4th graders were deciding between Jingle Bell Rock and Rudolph the Red Nosed Reindeer. They eventually decided on Ruldoph the Red Nosed Reindeer. I personally hope they wear little red noses and antlers, but I want to see for myself how that goes so Happy Thanksgiving, Merry Christmas, and a happy new year to you all, River McCarthy. 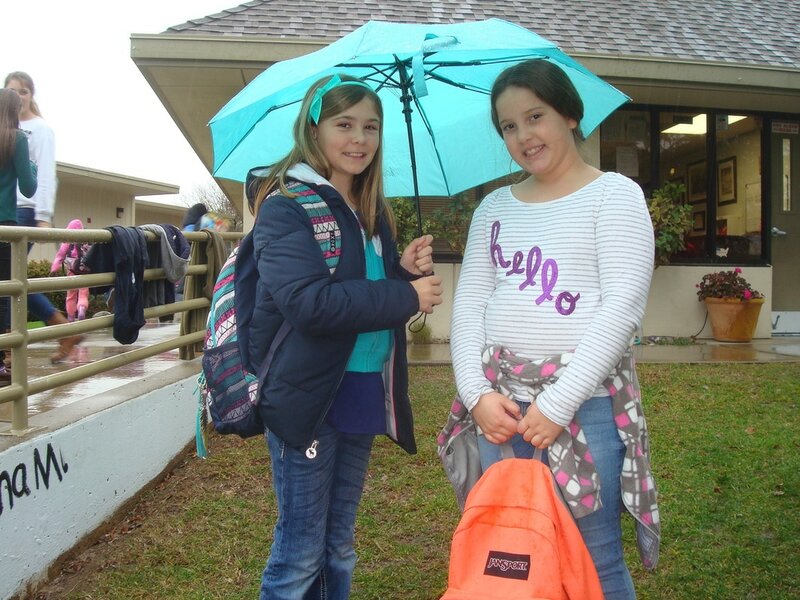 In the month of November the fifth and sixth grade class was preparing for a trip to Sutter’s fort. They picked a character from Sutter’s Fort and did a report about a person who lived at the fort. Vincent Peterson’s character was Benjamin Kelsey and Deagan Sweet’s character was John Sutter. All the 5th and 6th graders had to get a costume for the fort. When they got to the fort they arrived in a wagon train and did the jobs they would do at that time in history. They cooked all the food for dinner and breakfast and left the next day. 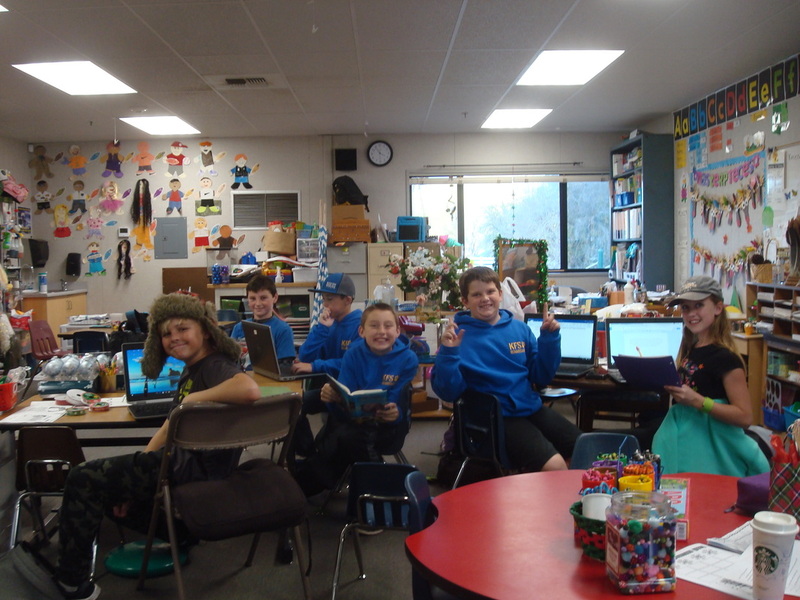 Mrs.Kelly is recovering from Sutter’s Fort the 5th and 6th graders are trying to get back to math and reading. Everyone in really exited for getting out on winter break and getting to Christmas. Last thursday the Community Club had a great Christmas meal. We collected a lot of donations for people in need. The high school choir came and sang for us. They were very, very good. There was a lot of great food. My favorite was the turkey and mashed potatoes with gravy. The desserts were really good too. They had chocolate cake,cookies,brownies,cheesecake and a lot more delicious items. They sang a lot of songs like Mary Did You Know. This month Dakota was writing this article. Have you ever heard of Pokémon go? Well a lot of people play it. Many of the kindergartners are planning on being Pokémon for Halloween. How cute!!! Also our kindergarten teacher Mrs. McCarthy is going to be a bee; how bee-utiful. Mrs. McCarthy’s favorite memory of Halloween was when she was in college and dressed up as rainbow bright and went to a street party. 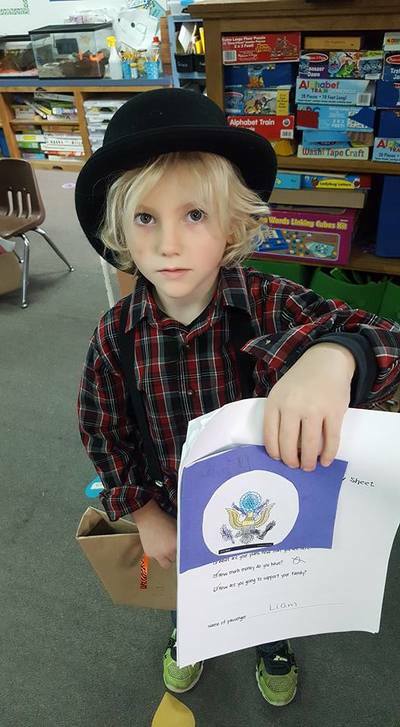 The kindergartners do a lot of fun things for Halloween. One thing the kindergartners are doing is seeing how many seeds are in pumpkins and whether or not a pumpkin sinks or floats. They also took a walking trip to the fire department and found out about community helpers. They then presented which community helper they would like to be to the class and why. Another thing the kindergartners are excited about doing is learning about spiders. 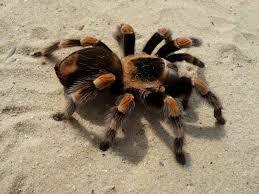 Many people are scared of spiders, but not the kindergartners, they love them! They plan on making an a spider video. That is all for now, this is Dakota Voortman and Sophia Thompson signing off as kindergarten reporter. The 1st and 2nd grade classroom are learning about Megabats and Microbats. They have also learned about what echolocation is. They have just gotten a new student her name is Morgan Western. 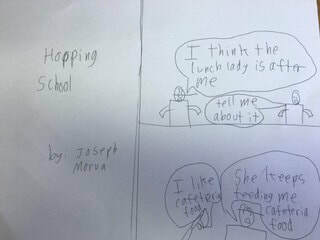 Mrs. Fogarty says they are becoming great writers. The class says they are looking forward to the holidays, like Halloween. They are going on a field trip to look at the salmon at the bridge. Jessica Esteeves a local beekeeper came into their class and helped them learn all about bees with an interactive presentation. That is what is going on in the 1st and 2nd grade classroom! By Carter Sturtevant. The 3rd and 4th grade class has been very busy preparing for their Halloween play. Charlie Birdsong from my last article, tells us that they are very exited about the play they are doing as a class. It's called “Big Pumpkin” adapted from a favorite children's book Big Pumpkin. 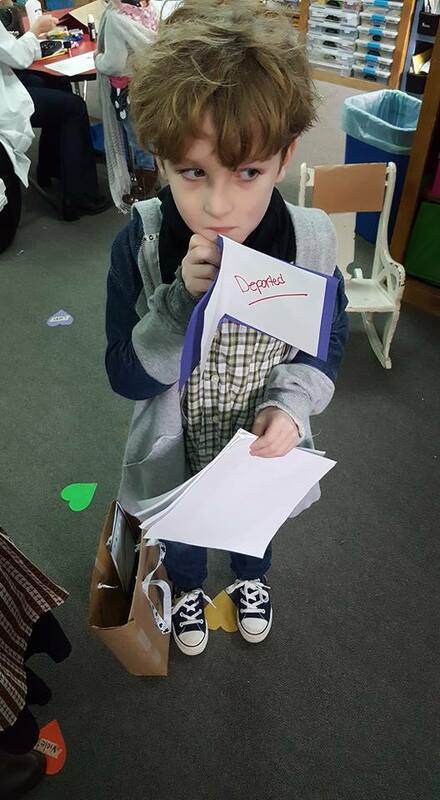 Savanna says that her brother Tristan is quite exited about the play as well. He will be playing the vampire. Some of the other things that people will be playing are a ghost, a witch, a pumpkin, a bat, and a mummy. Rita will be playing a witch, Kayla the pumpkin, Bryce a bat, Charlie was a ghost, and Josh B was a mummy. The performance was a huge success and the 3rd and 4th also made pumpkin pie cupcakes for people to enjoy after the presentation. They turned out amazing! See you next time, River McCarthy. 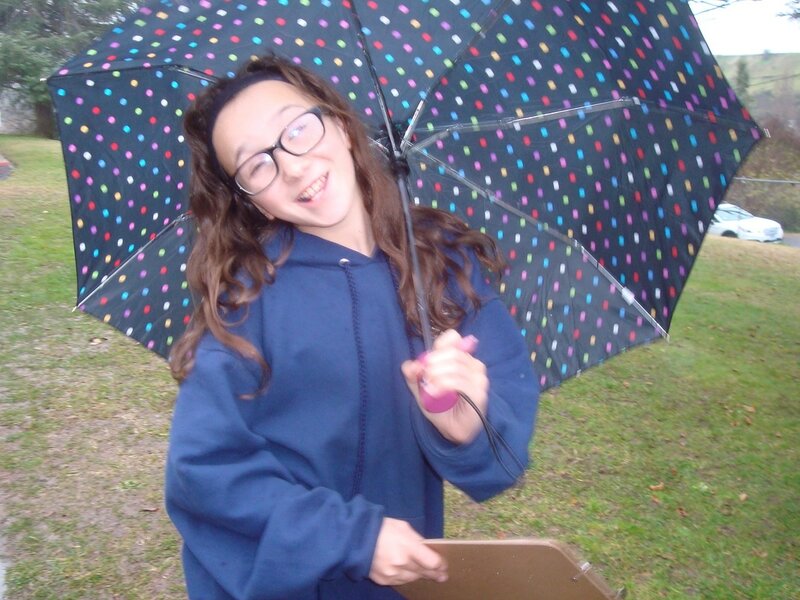 In the month of September the 6th graders were at science camp. Every sixth grader liked it. Vincent Peterson’s favorite part was hiking. It was a good opportunity to learn more outside of school. Some of the things that they did were the Boulder Caves, got to meet Vinny the hawk, touch El Ray The California King Snake, The Blind Walk, went to Moaning Caverns, the Night Hike, and big trees. A lot of the 6th graders were sad to leave because it was so awesome there. They said they had great counselors. 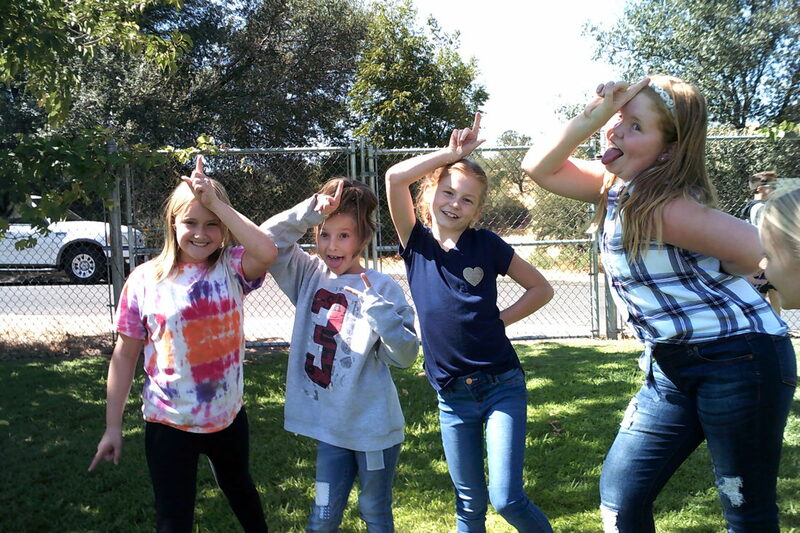 While sixth graders were gone to 6th grade camp the fifth graders did some fun and boring stuff. The fun stuff was they had a few substitute teachers Mrs. Petterson and Mrs. Burroughs. They got some more time to read and it was much more quiet. They read a new book called The Whipping Boy. All of the students said the bad part was that math was longer. 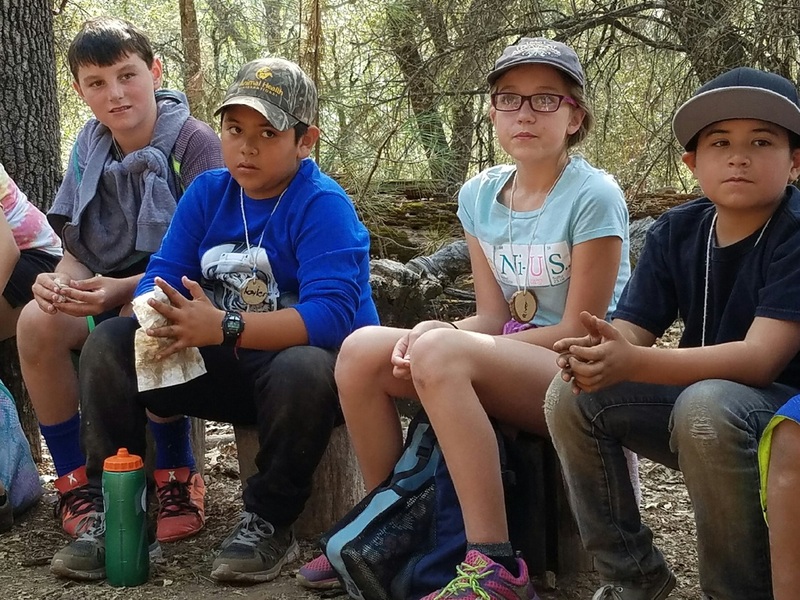 Over all the students had a good time at 6th grade camp and at school. We have participated in many sporting events and the 5th and 6th have won all their games for volleyball and football. 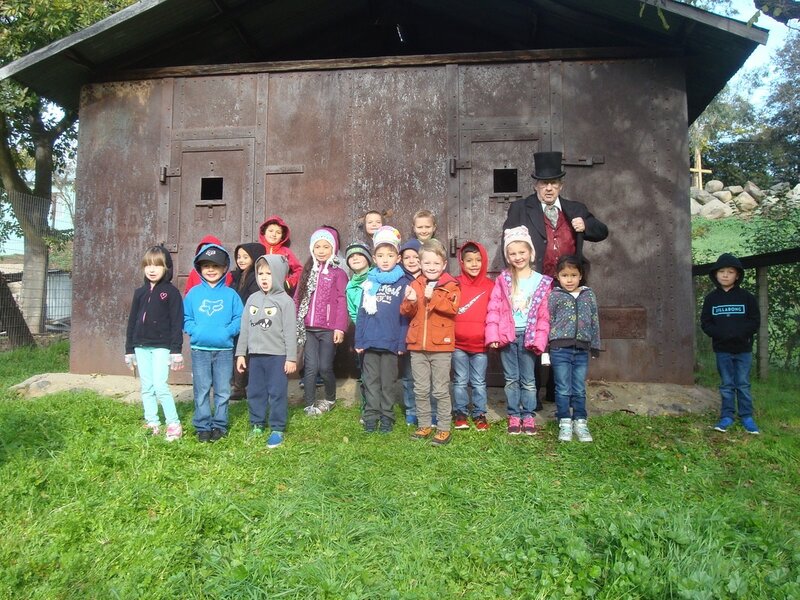 They are getting ready for a Sutter's Fort field trip at the end of November. 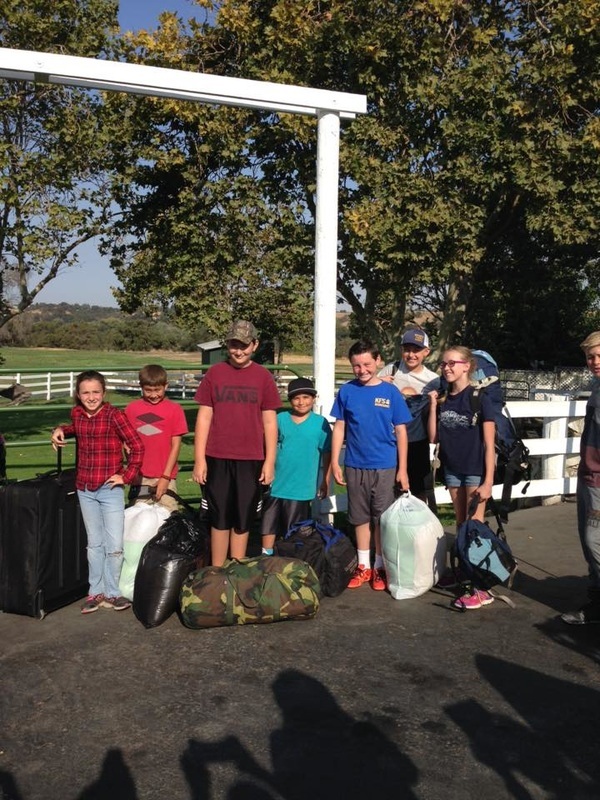 The students will stay the night in character of a person who actually stayed at Sutter's Fort. They will participate in lot's of learning experiences from baking bread from scratch, building things, making rope, rag dolls, candle making, weaving, wagon, and so much more. Students are preparing for this adventure by writing an essay about their character. Nicole Brunker is interviewing Mr. Russell and a few classmates about what they are going to be for Halloween. Makena Mendonca states that she is going to be Sandy from Greece, Annabel Lee is going to be Wonder Woman, Ava Yates is going to be Cat Woman, and Mr. Russell said he was going to be a fisherman . Also Mr. Russell says that we will be having salmon in class this year and then we will release them in the Knights ferry river. The 7th and 8th graders even got to go down to the Knights Ferry church and pick some pears. a few people picked pears, some peeled, others boiled them, and some put them in jars and seals them. In our community, we have the 53rd Annual Pumpkin Roll happening. It will on Sunday, November 6th next to the Clubhouse. There are also still available booths in the Clubhouse, and they are first come first serve. If you would like a spot, then contact Tracy Greisner. There will be a $500 scholarship through the high school again, but we have little details about this subject. Also the Clubhouse will still be offering rentals, and it is a great inexpensive way to host a gathering, or small event. This was Jude Krick with the PawPrintsPress. Nicole Brunker interviewing Dr. J on what she is going to be for Halloween. She says that last year she was a pumpkin, and she could be a pumpkin again this year, but she isn't completely sure on what she wants to do. We are also having three more football/volleyball games, we have the jog-a-thon, and another Kindness Assembly for the month of October. We are also having A pumpkin decorating contest and we will need judges for it, and we are even having all of the kids dress up in Halloween Costumes and walking down the hill, we are hoping that a few community members and a few parents will contribute and give out candy to the kids. 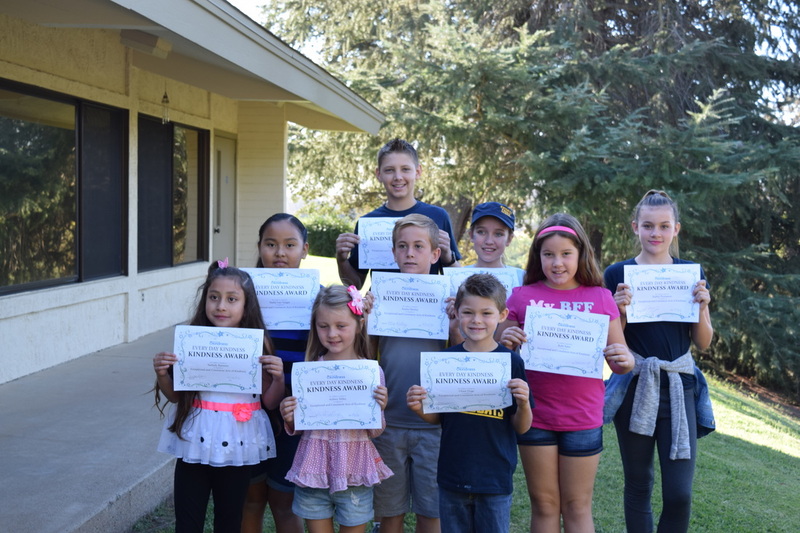 Our new Student Council has been very busy so far into this new school year. The new Student Council is Dakota Voortman as Treasurer, Cameron Sales as Secretary, Alexis Elting as Vice President and Jude Krick as President. Student Council has decided to do an Autumn Dance on November 4th, Red Ribbon Week starting on the 24th to then 28th of October, and to do Operation Christmas before Christmas Break. Our days for Red Ribbon Week are Red day, Hawaii day, Crazy day, Camo day and Sports day. Operation Christmas is going to be a big project! 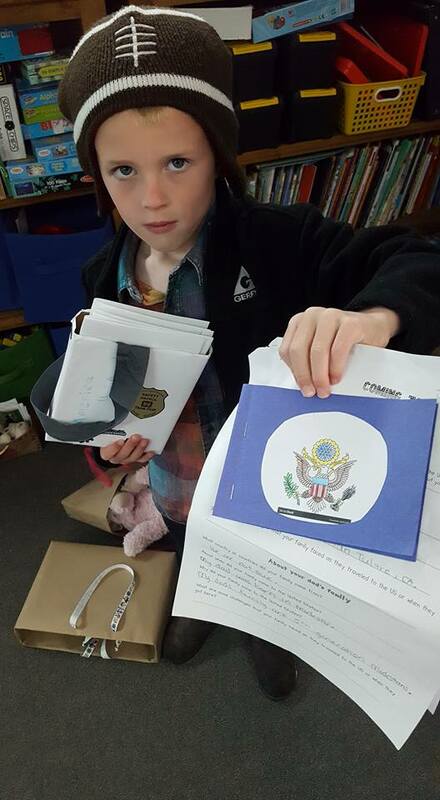 Knights Ferry School will be collecting boy and girl presents to put into shoe boxes to ship off to a different country. Operation Christmas is not just to give presents to boys and girls, but to share the joy and Sprit of having a special Christmas. The Autumn Dance will have recommended food and music and will be lots of fun! I sign off as your Student Goverment Reporter as Cameron Sales. Have an awesome school year! 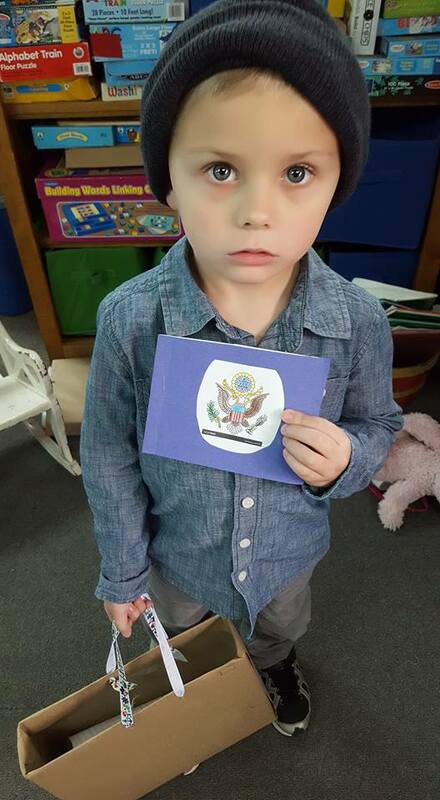 Mrs. McCarthy's Kindergarten class dressing up like community helpers. 1st grader Savanna learning about bees from Beekeeper Jessica Esteeves. I spy Wonder Woman and Bat Girl!! Got any of these crawling around? If you do contact Mrs.McCarthy and her kindergarteners, so they can have an exciting year. Levi, Wyatt, Carson, Jax, Bowen, and Taylor. Have you ever wondered what the Kindergarteners and Mrs. McCarthy do during the day? We interviewed them and this is what we found. In the morning if you hear some music it isn’t a band it is the kindergartener class. They sing their "Good Morning Song," every morning in both Spanish and English. Another activity they love is buddies. 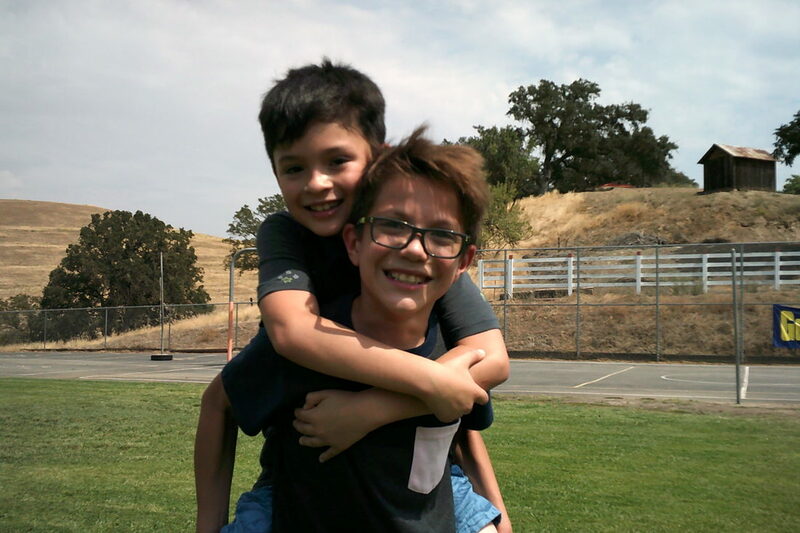 Bowen Sundberg said he loves hanging out with his buddy Mason who he says is awesome. 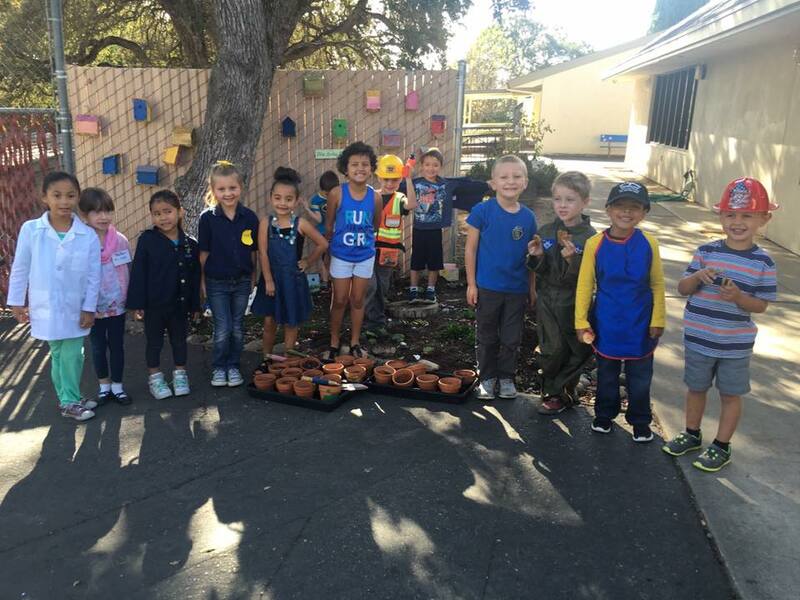 A great idea Mrs. McCarthy had was to build a fairy garden. She said the reason she wanted a fairy garden was because people need more chances to use their imagination and stop playing in the bushes!!! Xochitl (pronounced so-chi) said her favorite part of the fairy garden was playing with the fairy’s. Last the question of the month that we asked Mrs. McCarthy was what her favorite memory of kindergarten was? She said, "eating paste!" 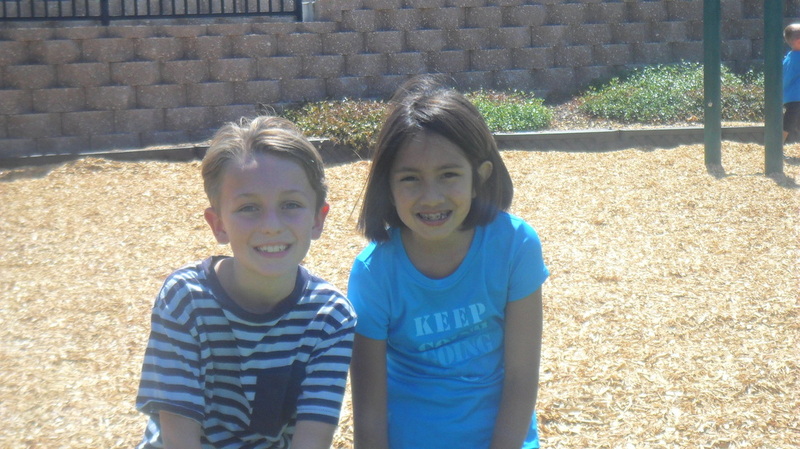 This is Dakota Voortman and Sophia Thompson signing off as the kindergarten reporter. What is happening in the 1st and 2nd grade class? In Mrs. Fogarty’s class they have a new/old student named Gabby. The students are thrilled to have her back! They are learning about organisms. She is looking forward to fall because they will be talking about apples and harvesting apples from their apple tree. 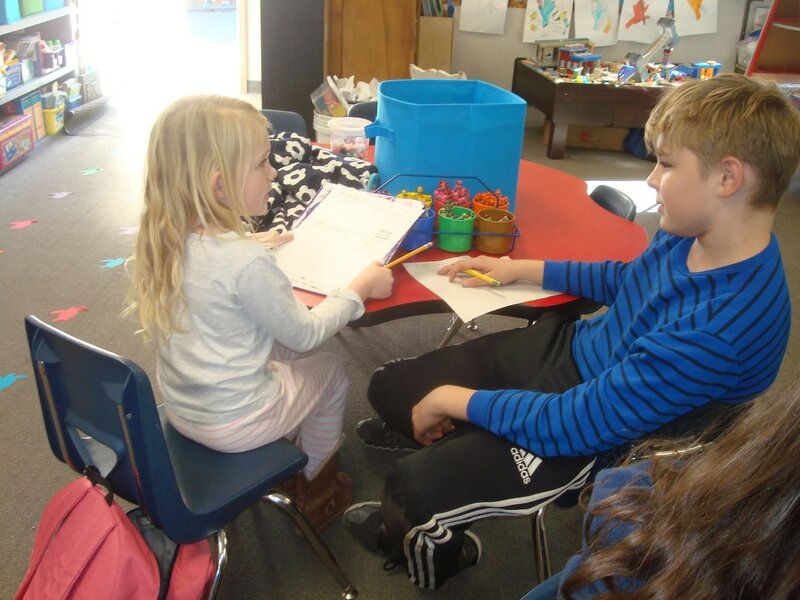 Students say “We are writing a lot and doing stations.” Signing off, is Carter Sturtevant, your 1st and 2nd grade reporter. With heavy hearts we said good bye last year to the 3rd and 4th grade teacher Mrs. Holcomb. Now we excitedly welcome Mrs. Travao as our new 3rd-4th grade teacher. 3rd graders Charlie Birdsong and Maddie Dickens tell me that they are eagerly reading Charlotte’s Web in their class. 4th grader Jenna O’neil informs me that the 4th graders have been doing multiplication in math and also math bingo. Tristan McCarthy says that the 3rd graders do math games, but he predicts that they will do Number Corner in September. 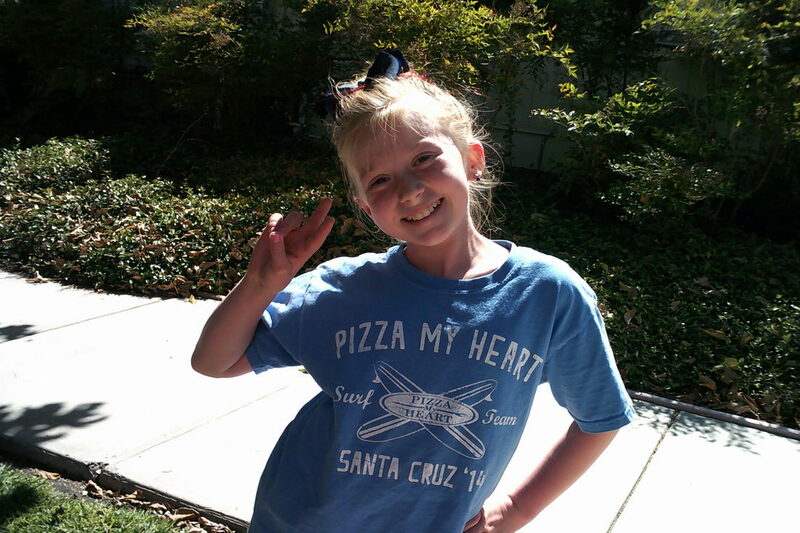 Kyla Ryan has been reading the book Frindle in fourth grade. I think that the 3rd and 4th graders are going to have an awesome year. 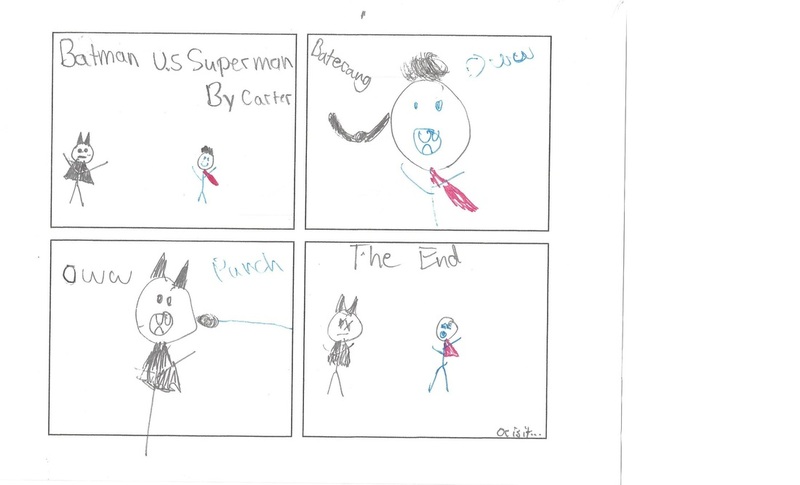 As this is the first time writing the article I now introduce myself-River McCarthy, the third and fourth grade reporter. Come to me with new ideas so that I can include it in the next edition. 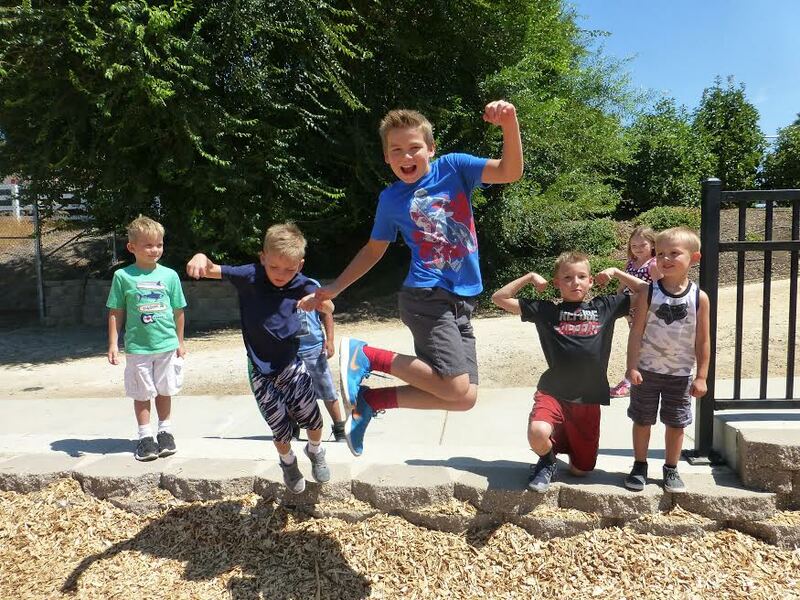 The Knights Ferry School has some new teachers. One of them is Mrs. Kelley. She is the new ⅚ grade teacher. 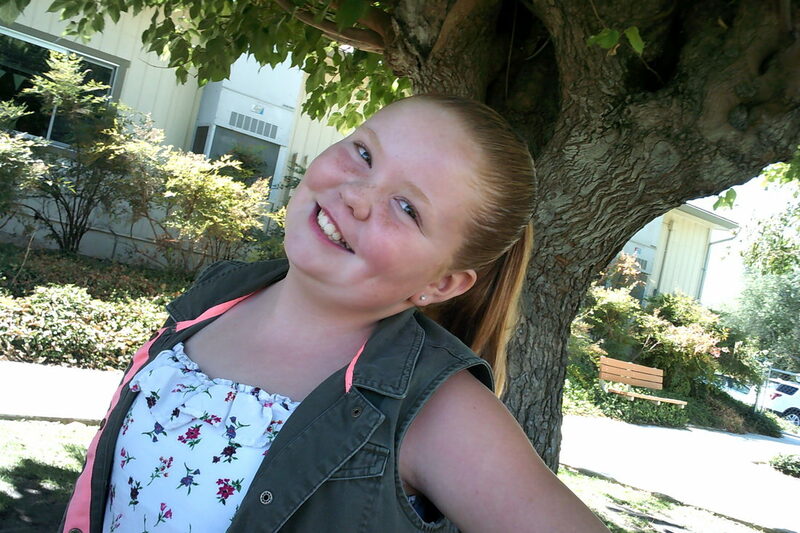 She came from the school Medeiros in Turlock. 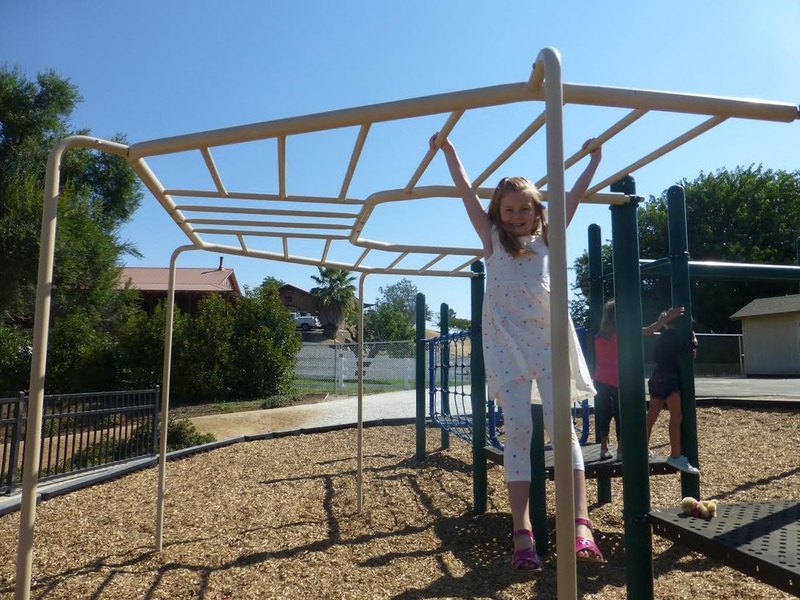 She attended Eisenhower Elementary, and she also attended Cupertino High school. She learned to teach at Whitworth College. The students in the class like her very much. A lot of people said they are looking forward to the new school year. This is our first time writing in a newspaper, we are glad to help participate. We introduce our selves as Trent Esteves and Mason O'neil. If you have any ideas for the next article give us your suggestions. Nicole Brunker interviewed Mr. Russell on his ideas for the school year: "To especially prepare the eighth graders for high school by teaching them how to communicate effectively. Basically my goal is to prepare you for what the next level is. I'm not only trying to prepare you academically but also socially. I'm trying to prepare eighth-graders and seventh graters alike not only for high school but for life itself, for example, how to prepare for a job interview and review how to interact with people." In the community, we have only one announcement. It is coming up in October, and it will make our little town shiny again. On the 15th from 8:00 a.m. – 12:00 p.m.. we will have a Clubhouse clean-up, which will include installing new doors, and cleaning the inside and outside of the Clubhouse. After we clean, there may be a possibility that we will clean The Millers Hall as well, but we are not for certain. Also, after we are completely finished, a potluck will be held. Kids who attend the clean-up, may be eligible for community service, so tell your High school family members. Thanks for reading the Paw-Prints-Press. Signing off, your Student Body President, Jude Krick. Nicole Brunker has interviewed Dr. J on her plans for the school year. "For Halloween we'll do the pumpkin decorating contest. We will also maybe hold a pumpkin roll contest at school and will encourage kids to participate in the Pumpkin Roll and we'll do the usual for Christmas, of course, we'll do the Christmas Show. and an overall plan is that all students will feel welcome at this school, and they have what they need. 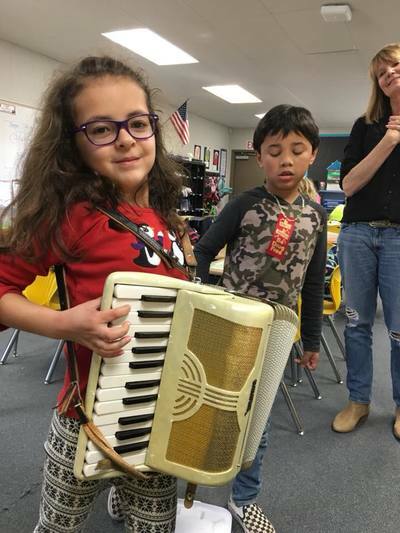 Of course we'll do the rodeo parade, and I want the school to be recognized all over Stanislaus County because I want kids from all over coming to this 'Little School On the Hill'." 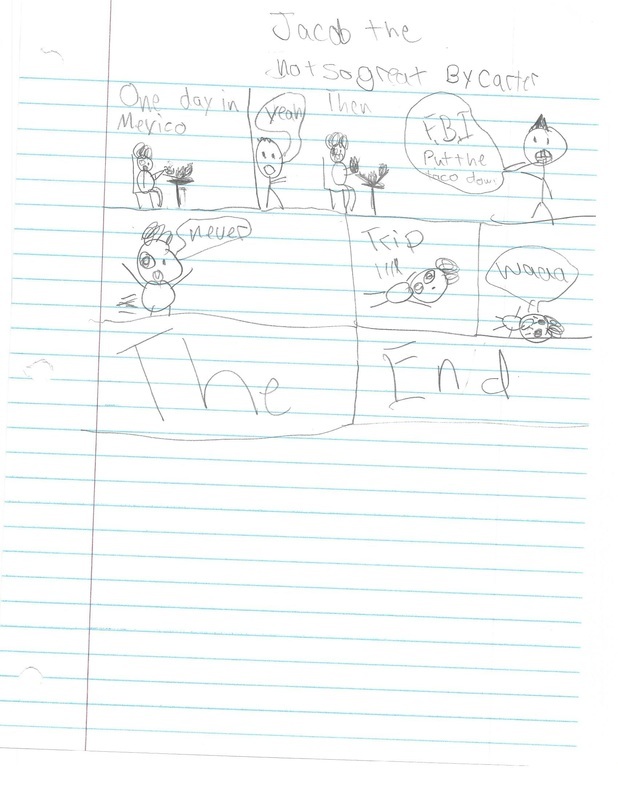 This is a newspaper written, edited, and created by 5-8th grade students at Knights Ferry School.